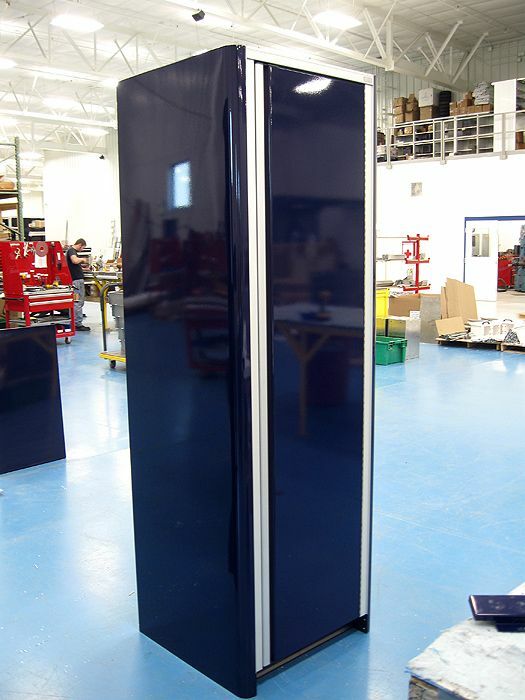 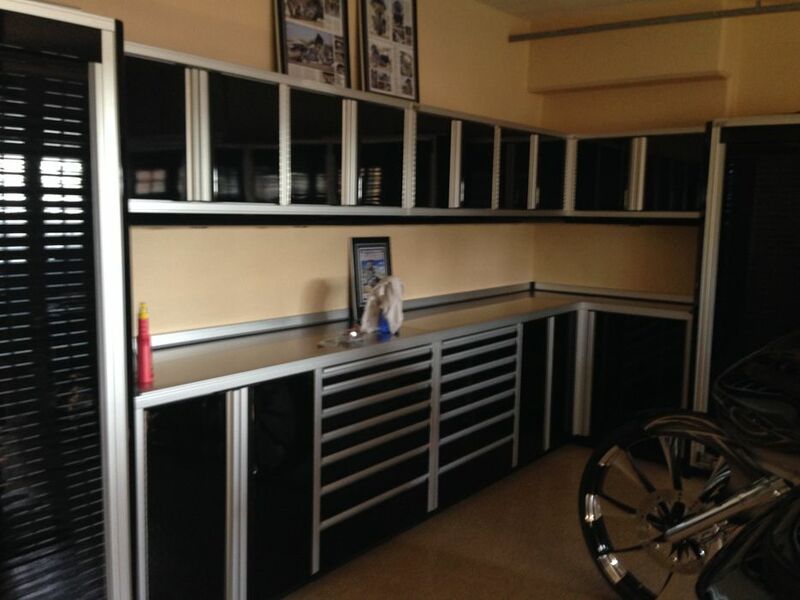 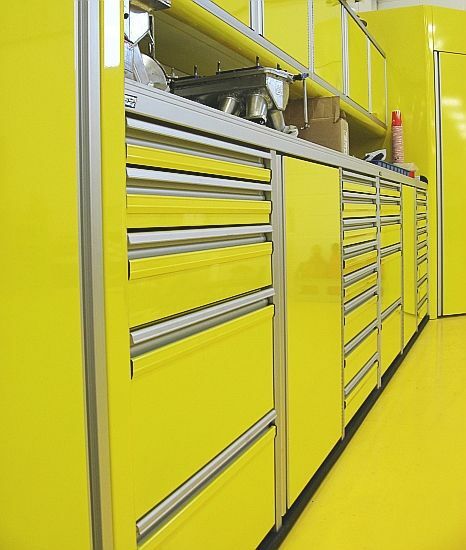 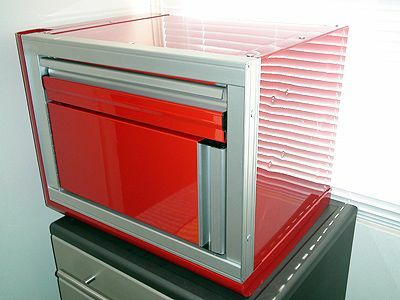 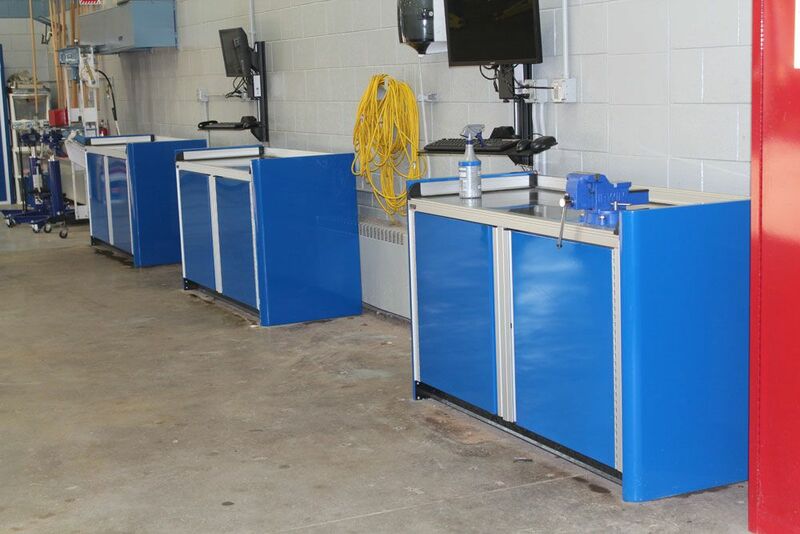 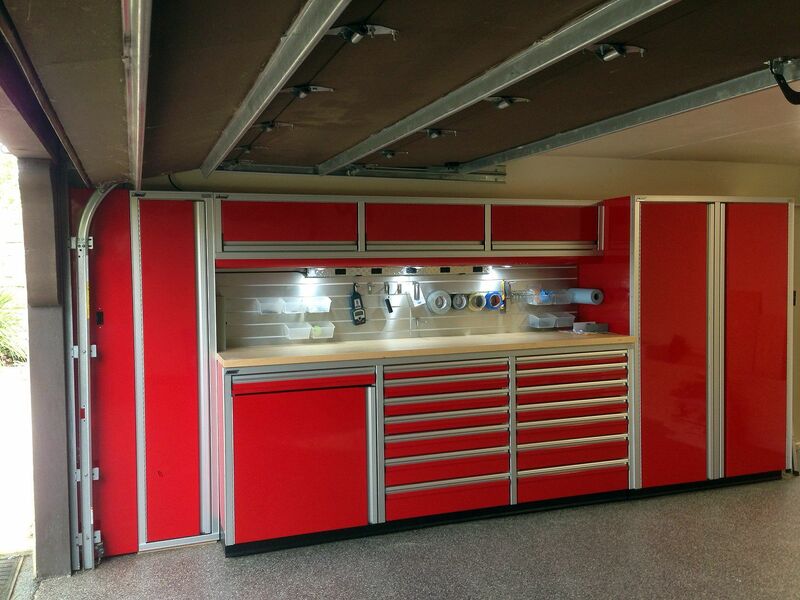 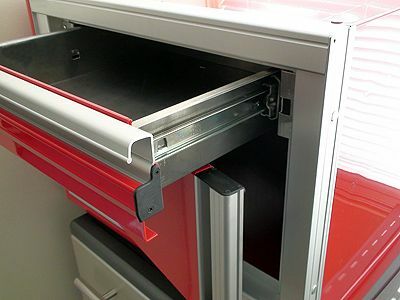 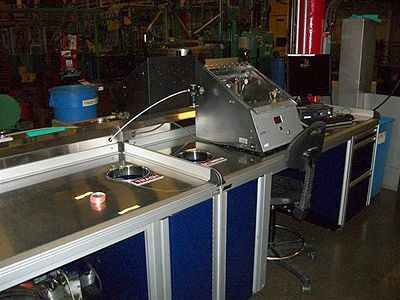 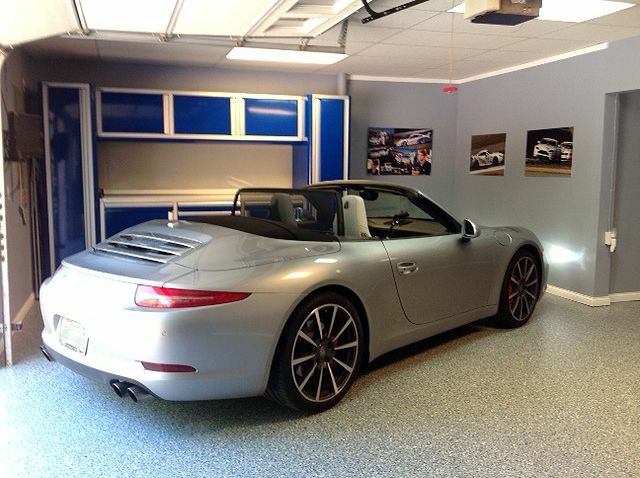 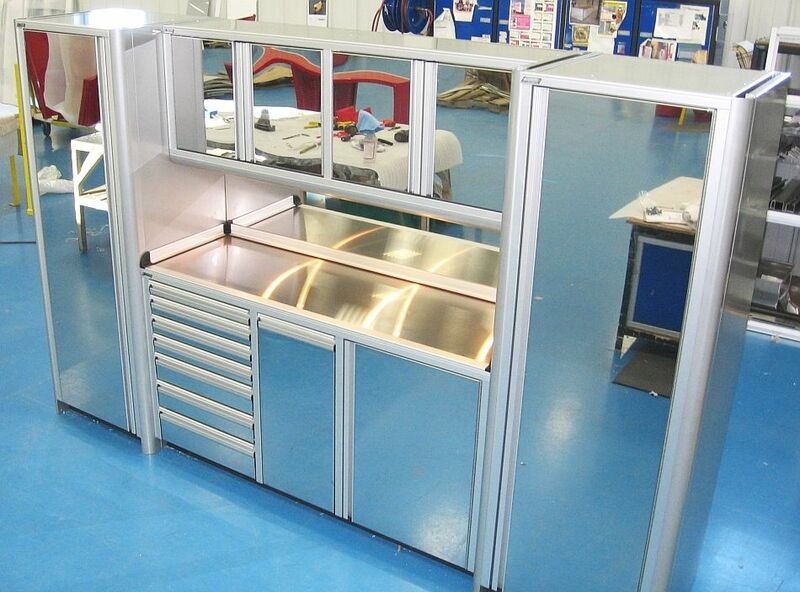 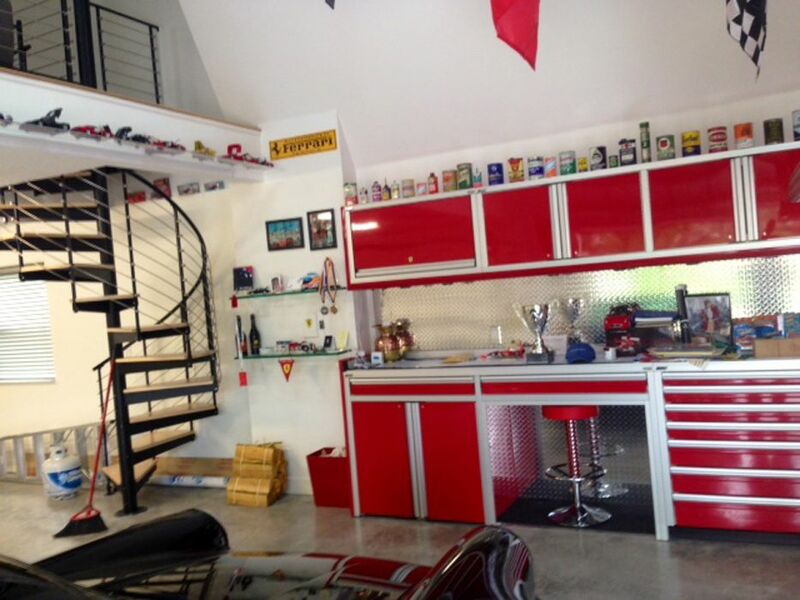 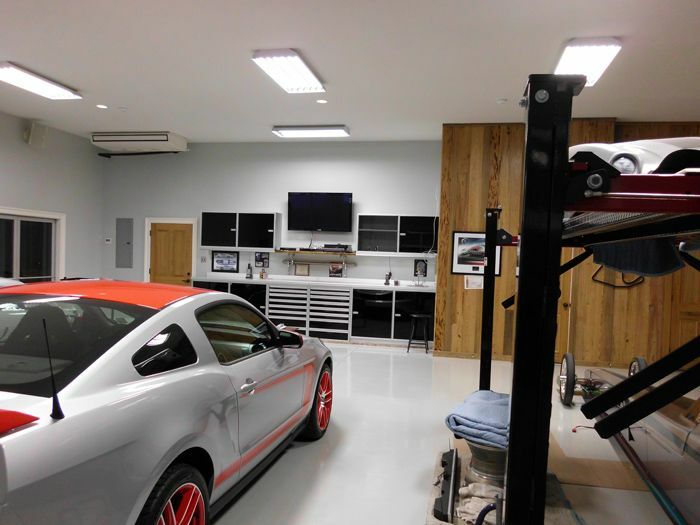 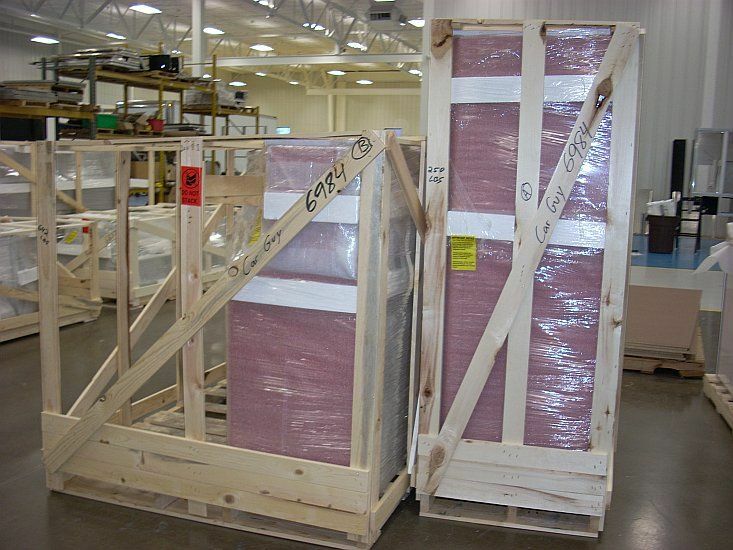 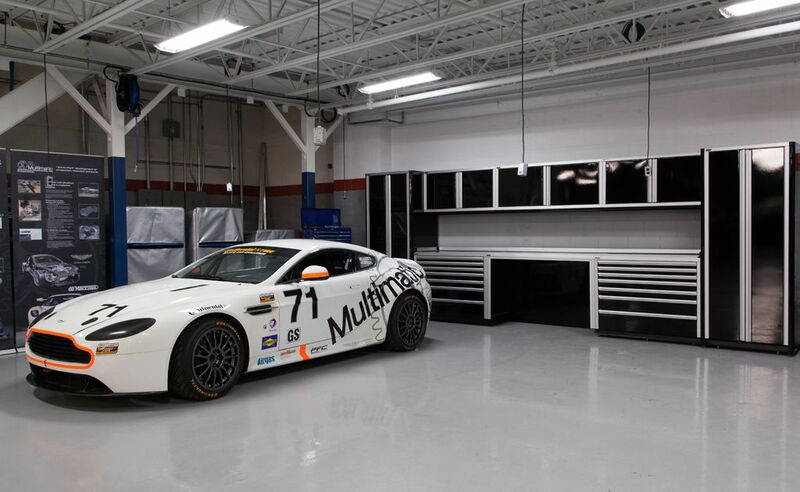 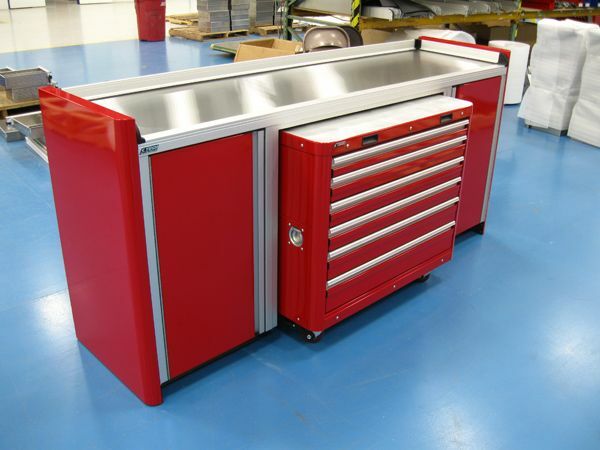 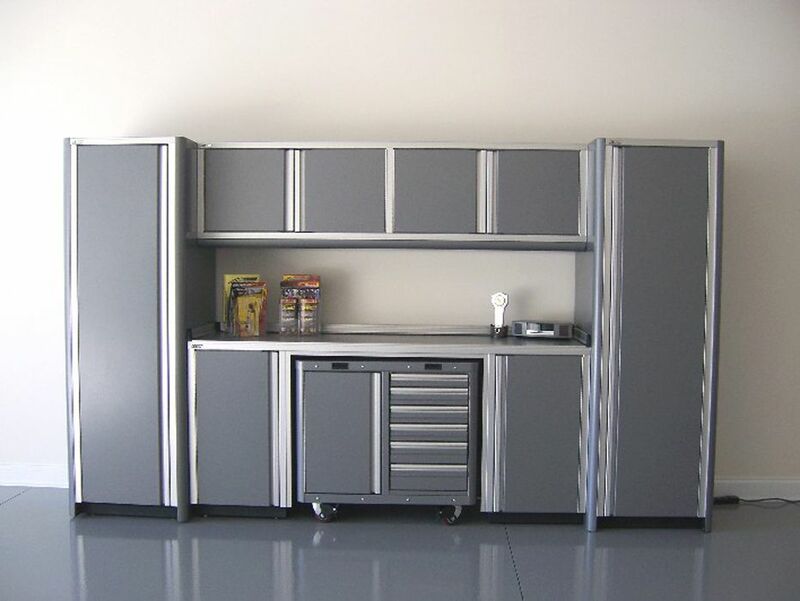 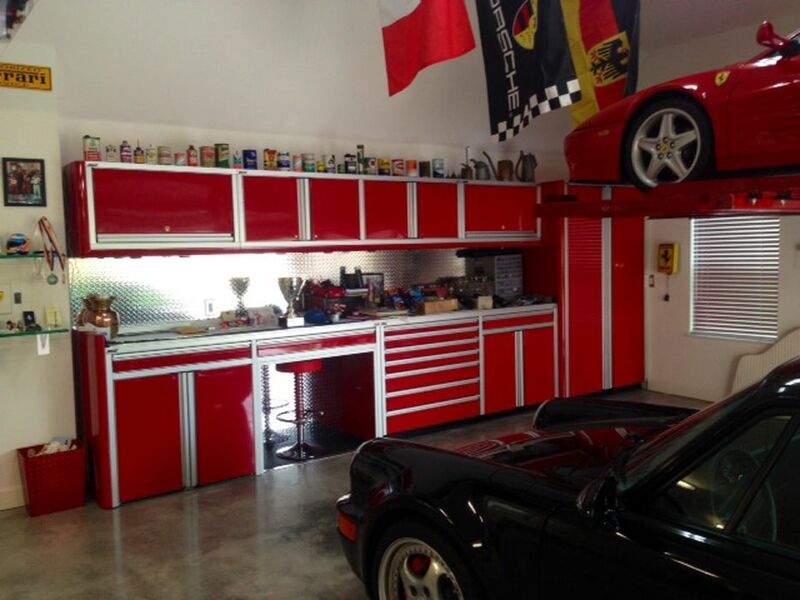 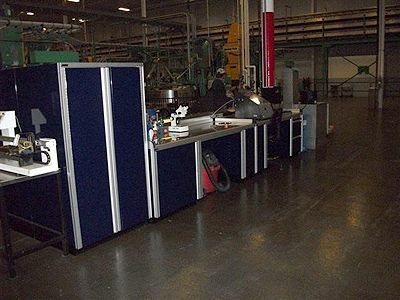 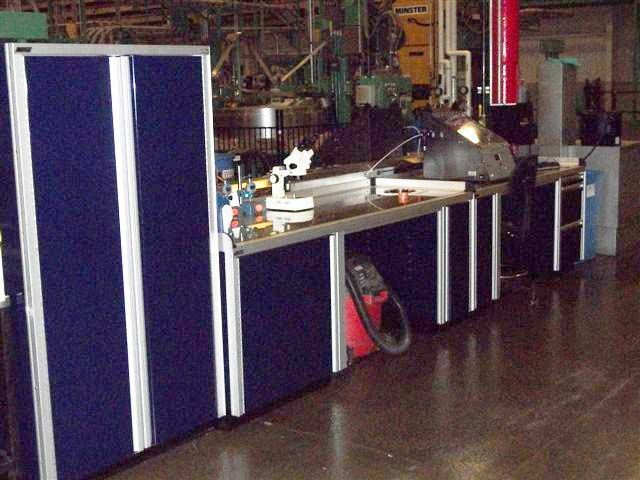 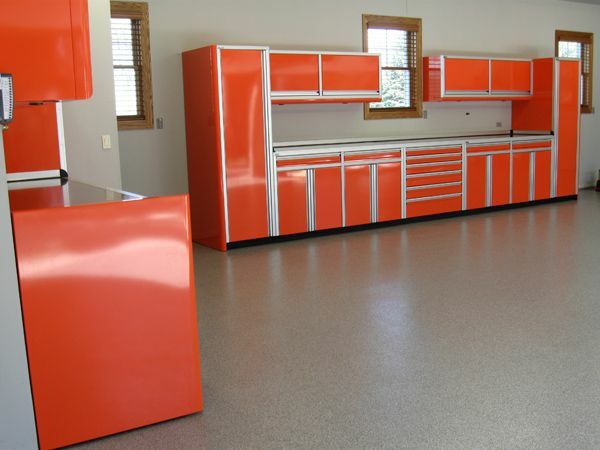 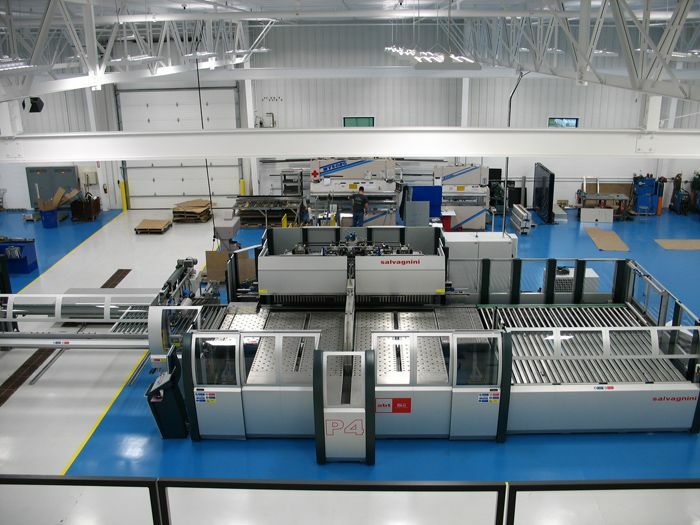 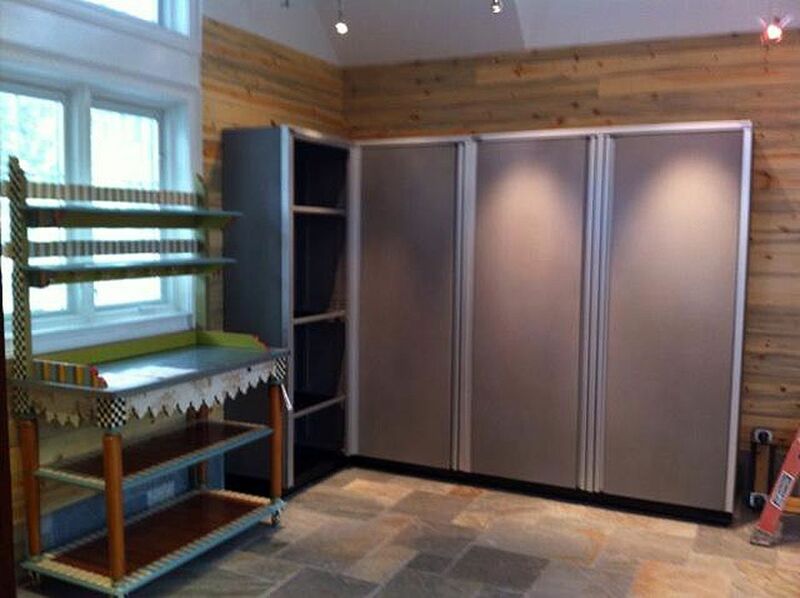 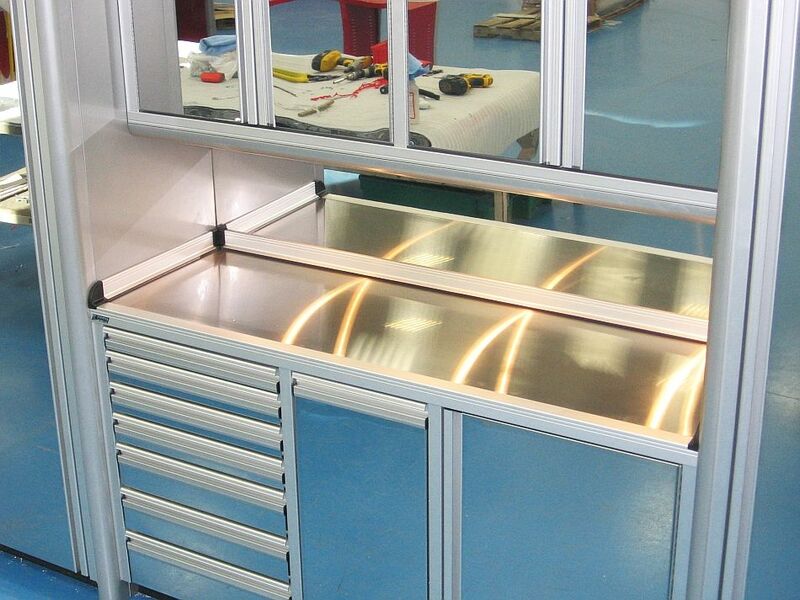 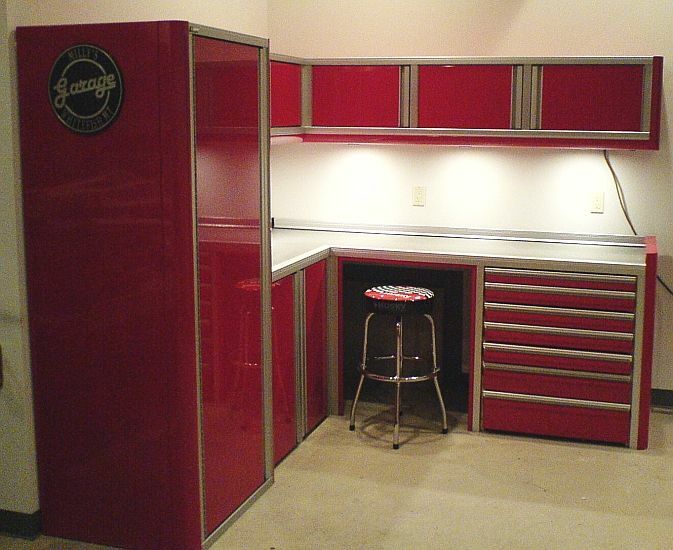 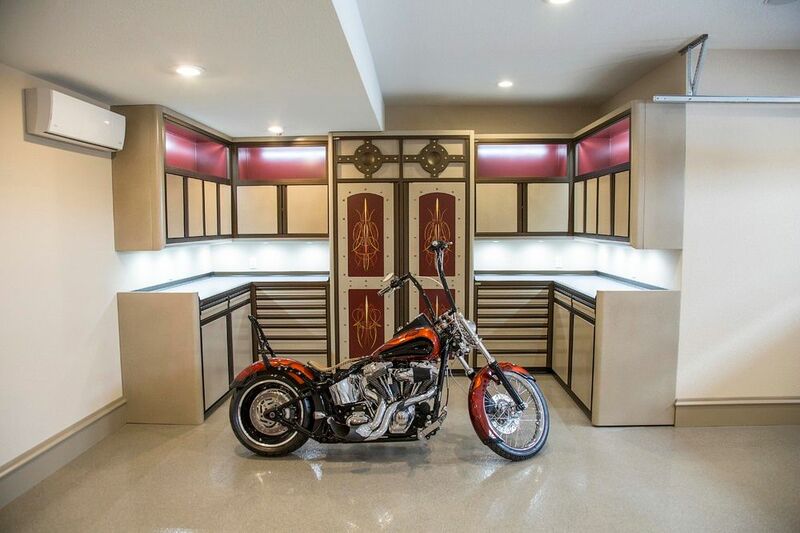 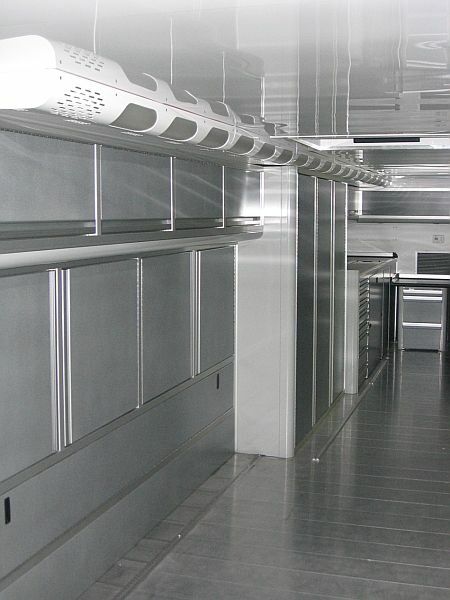 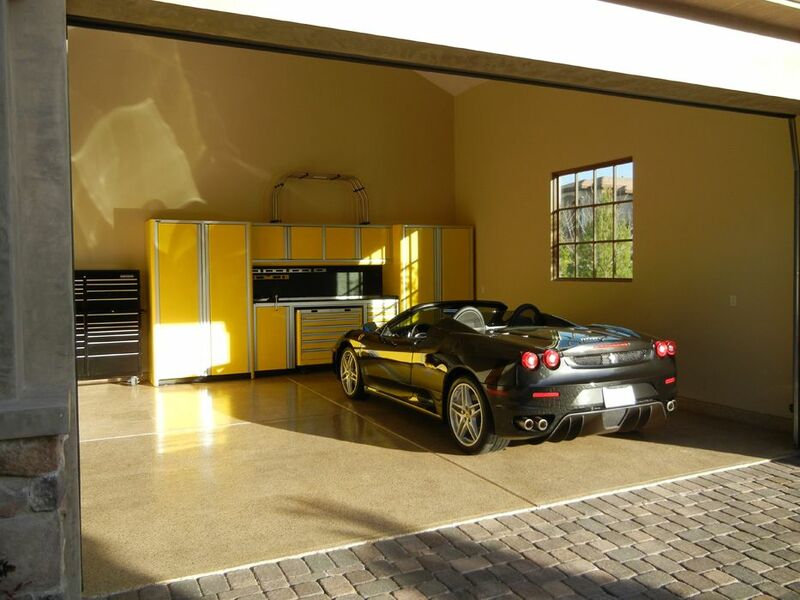 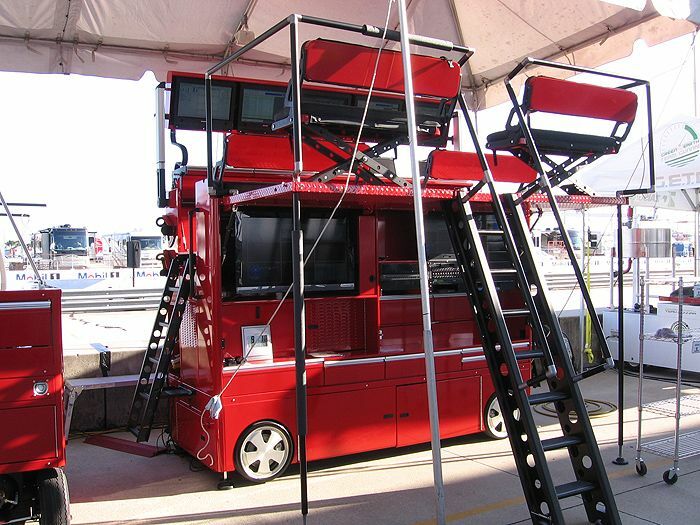 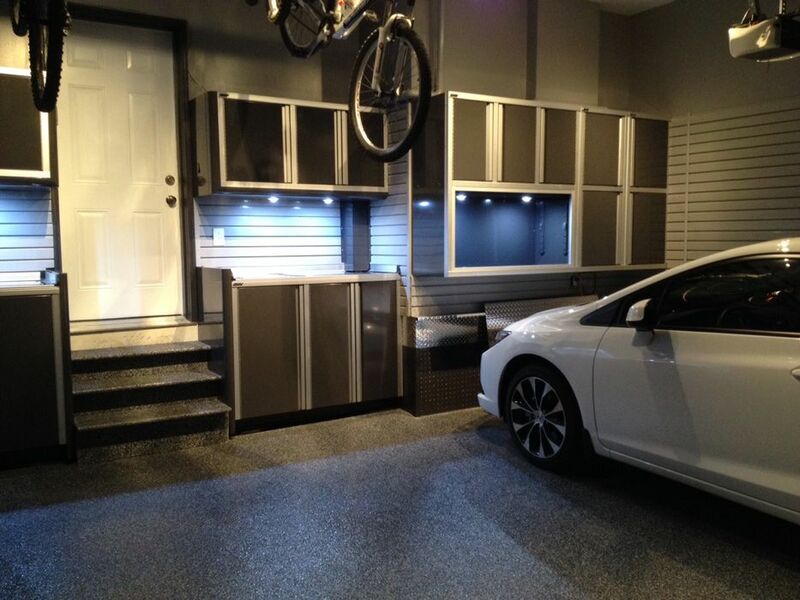 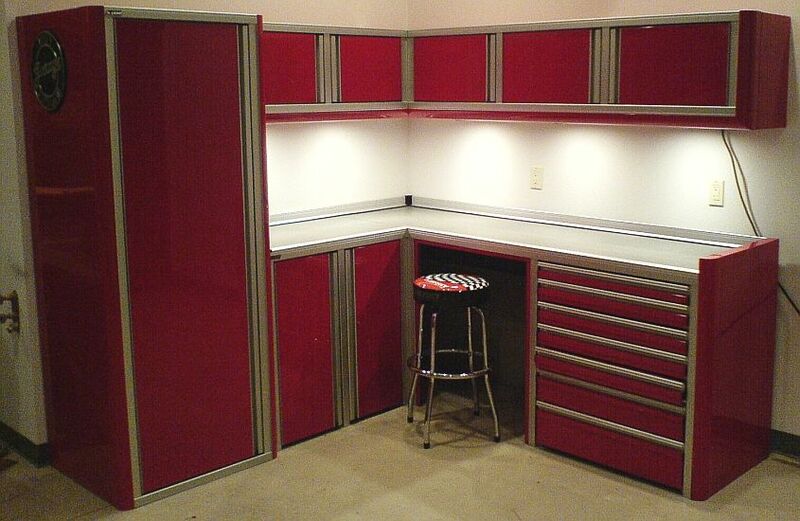 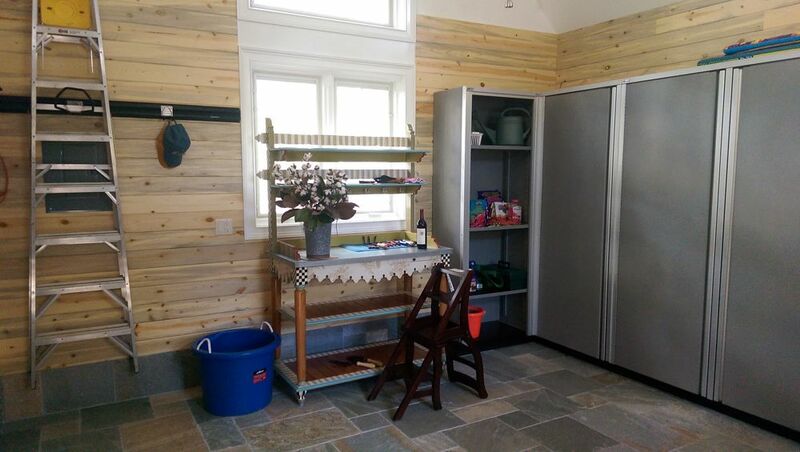 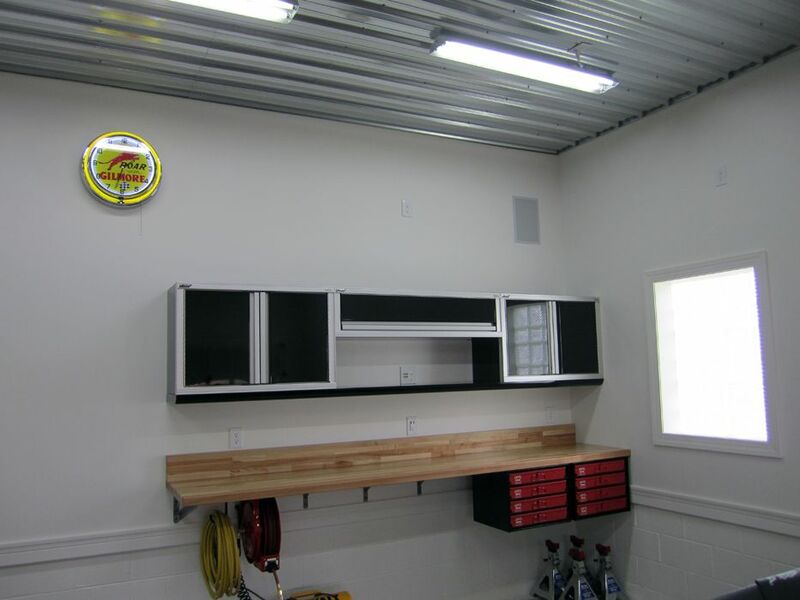 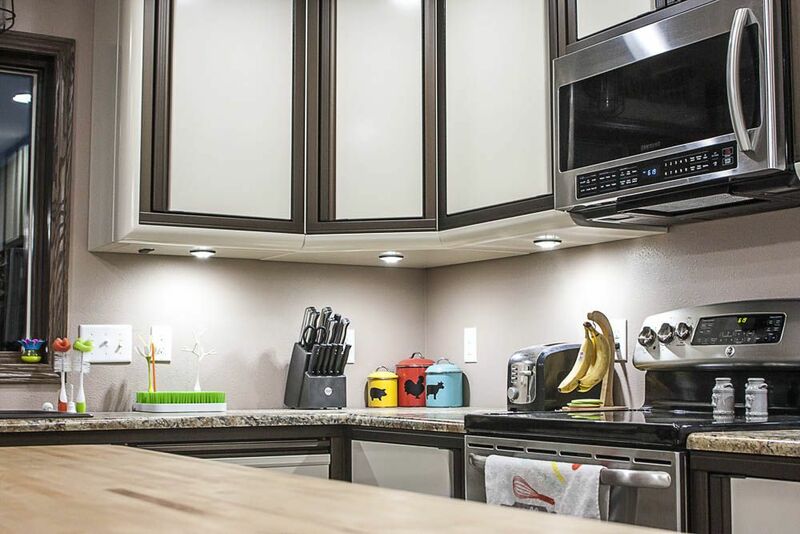 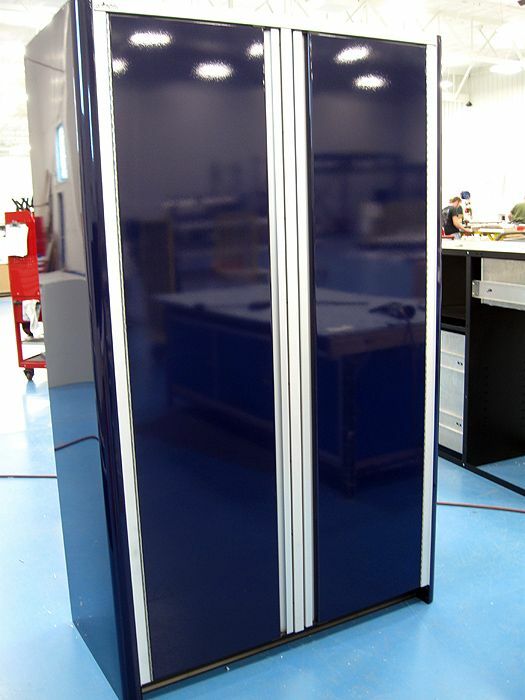 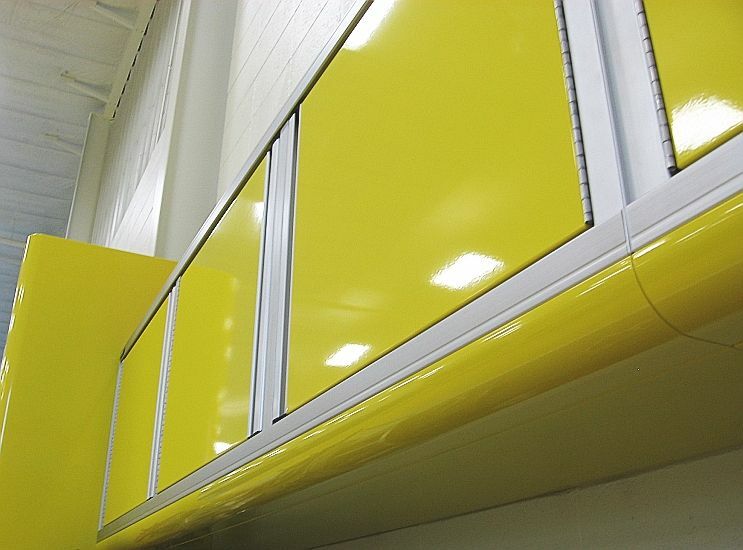 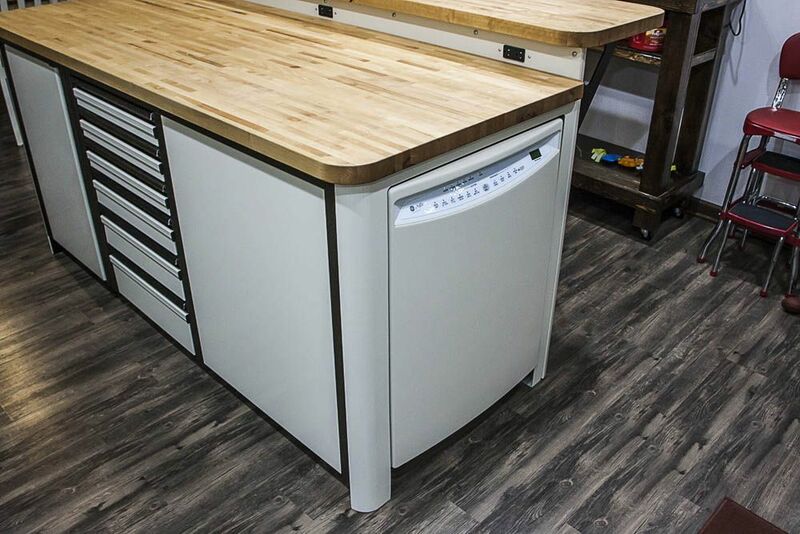 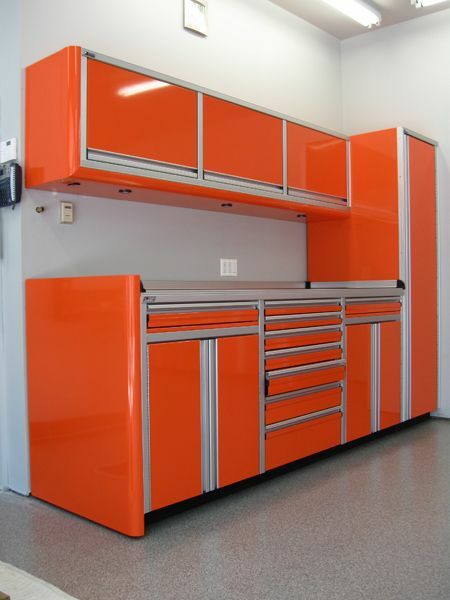 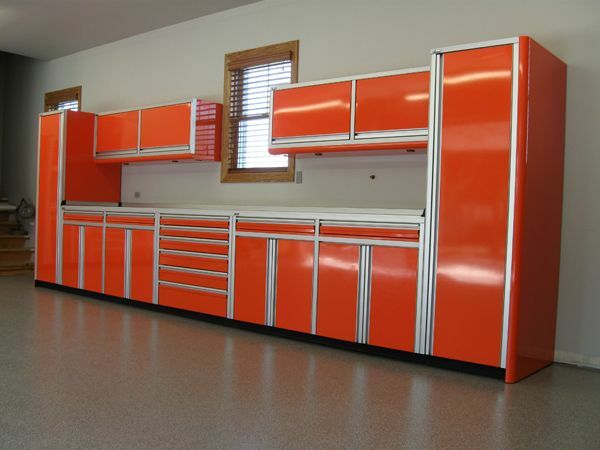 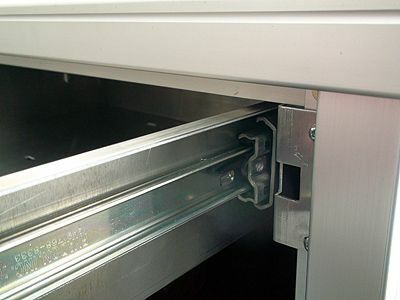 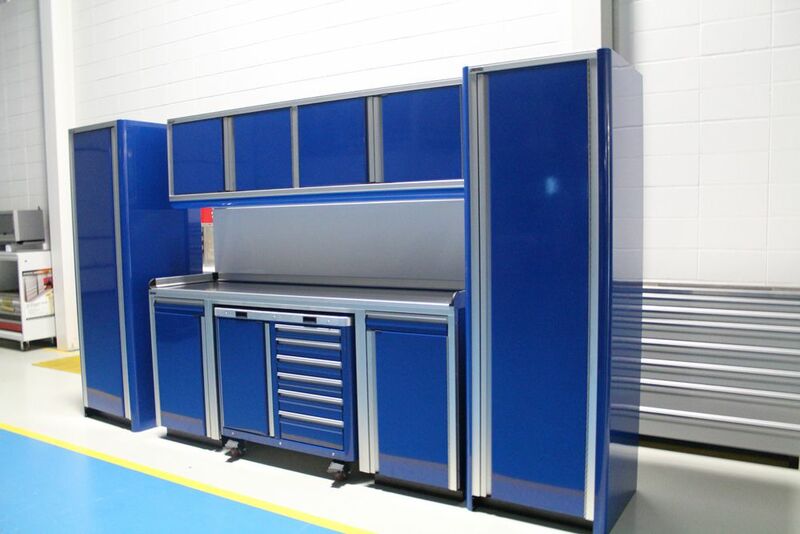 These cabinets are completely fabricated from aluminum and made in the USA. 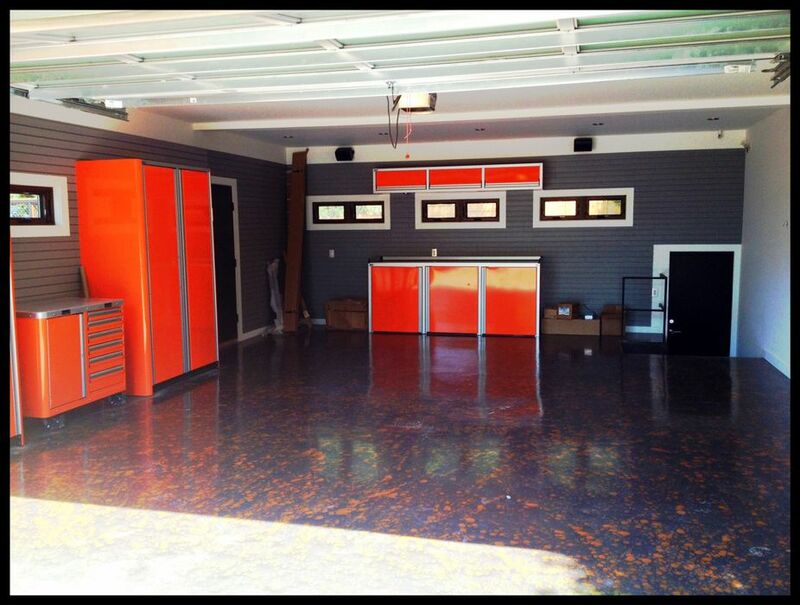 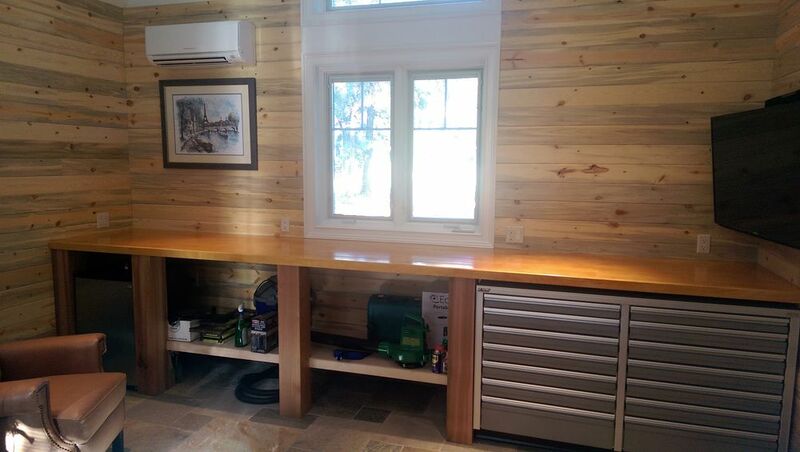 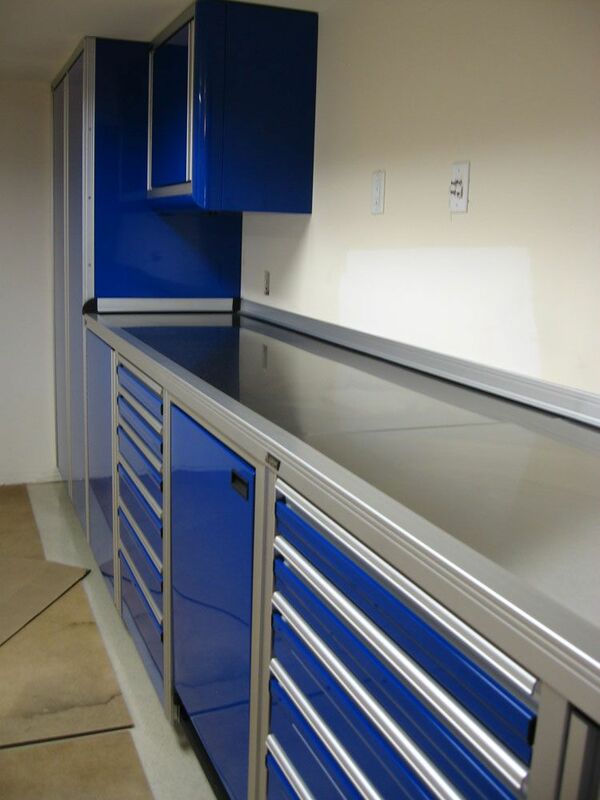 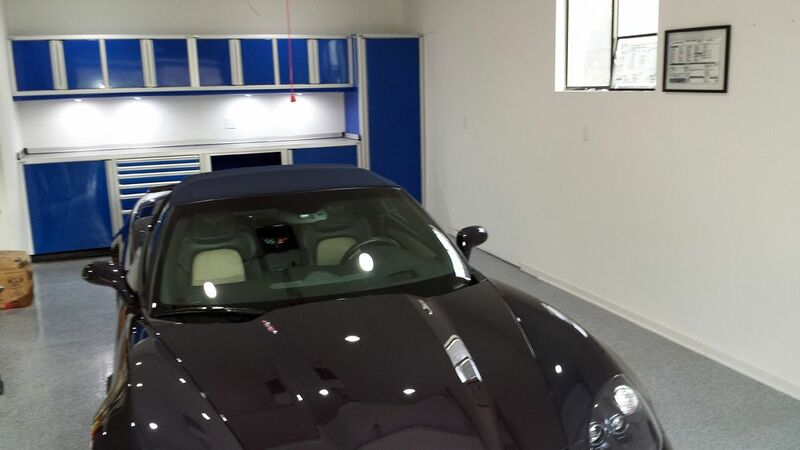 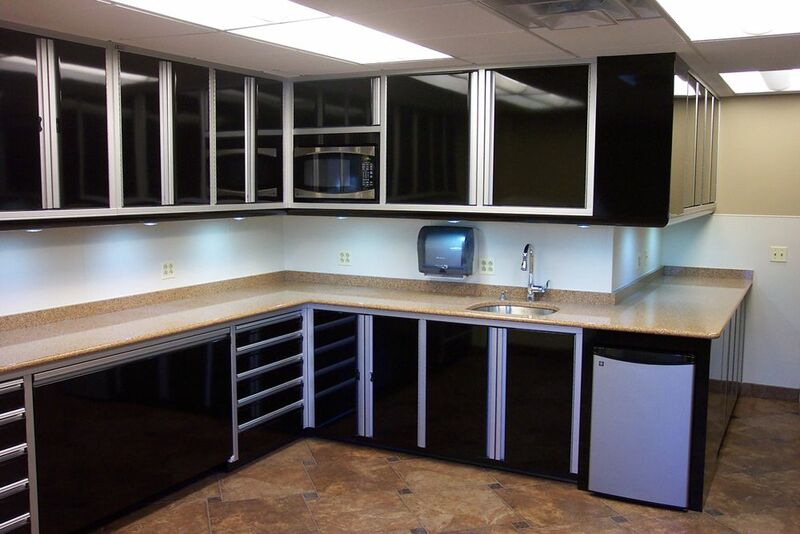 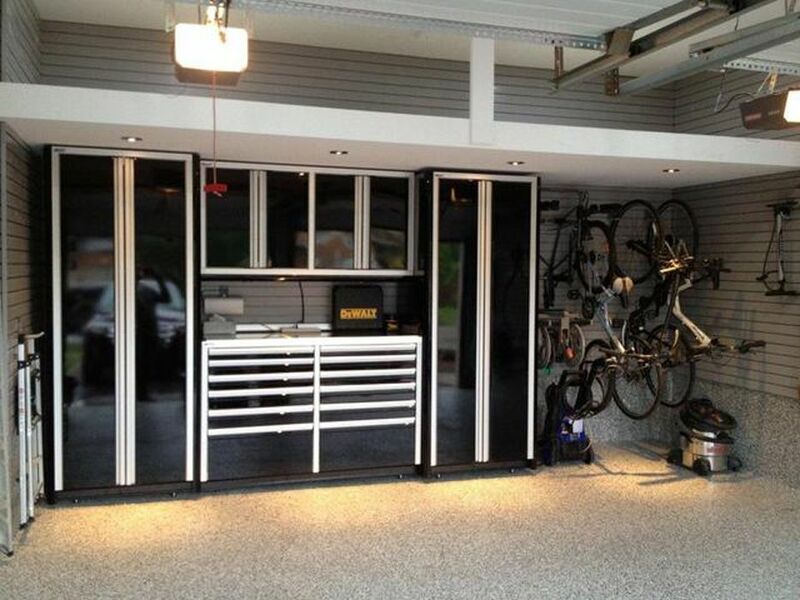 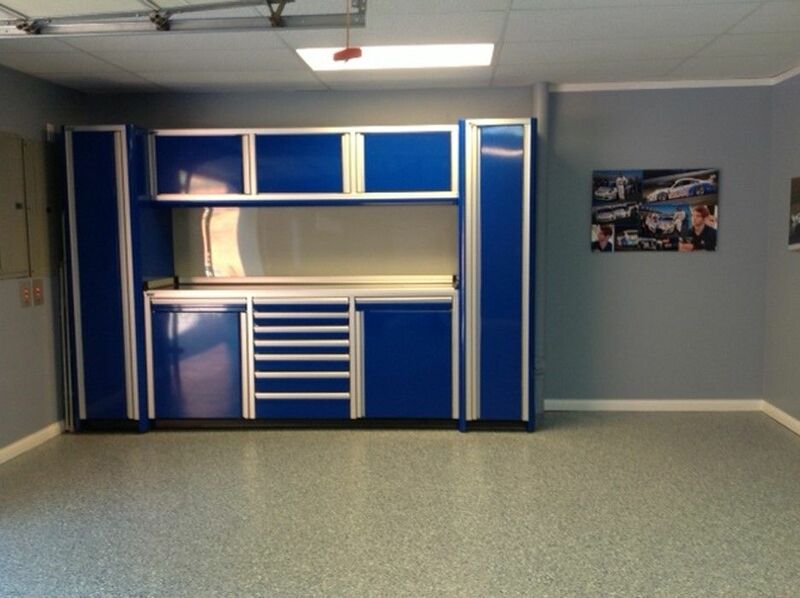 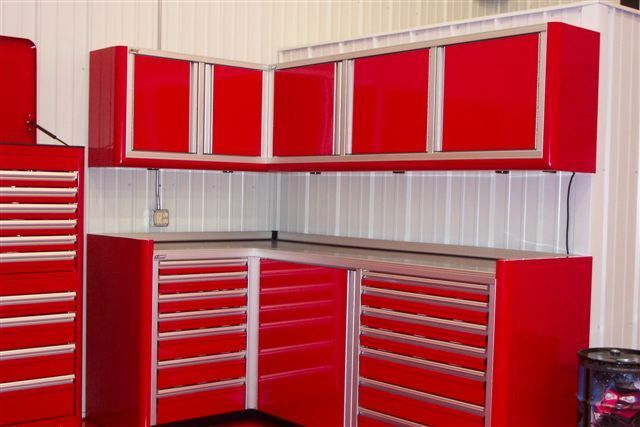 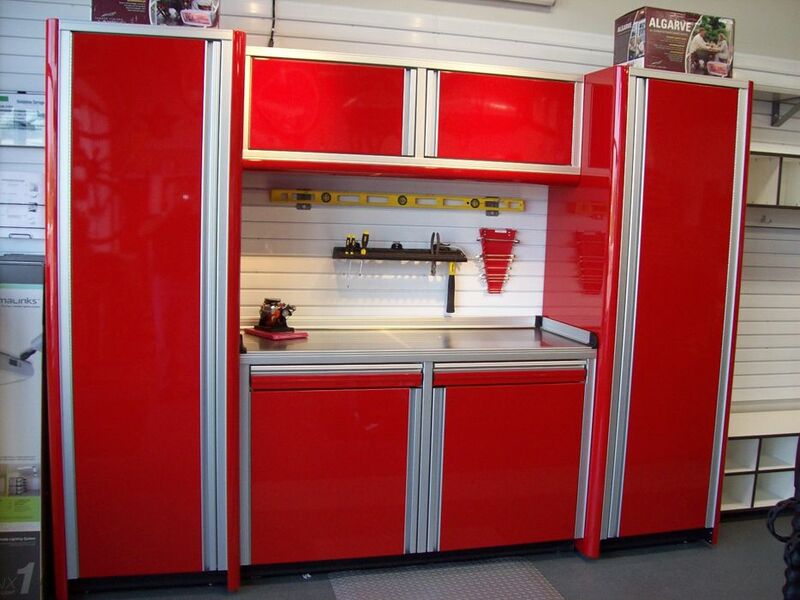 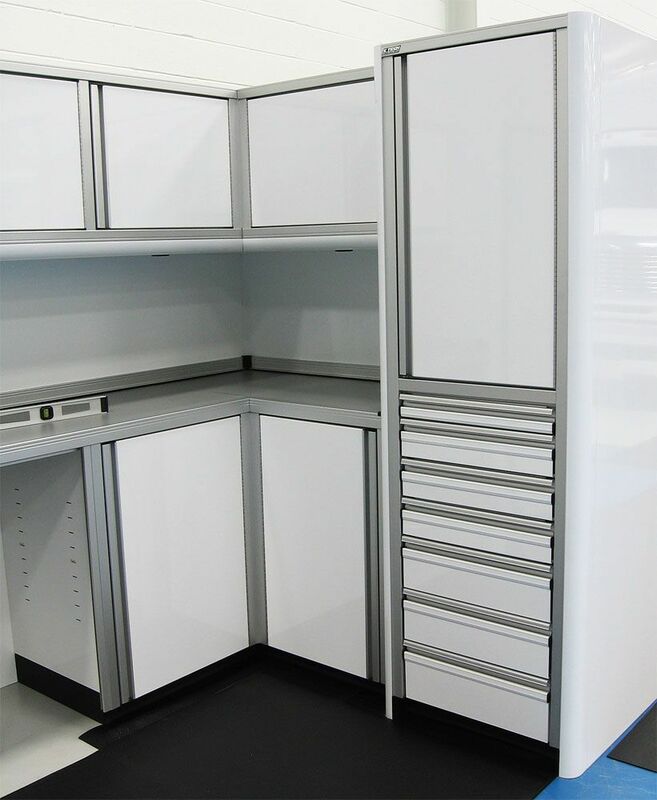 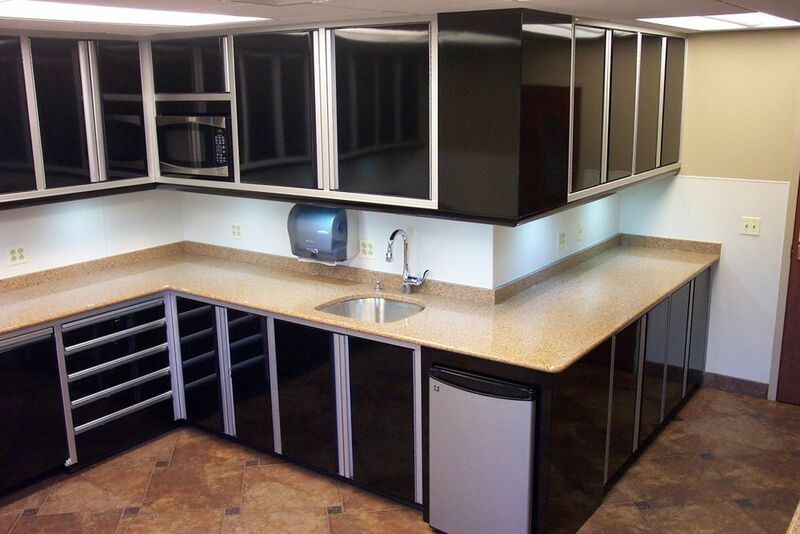 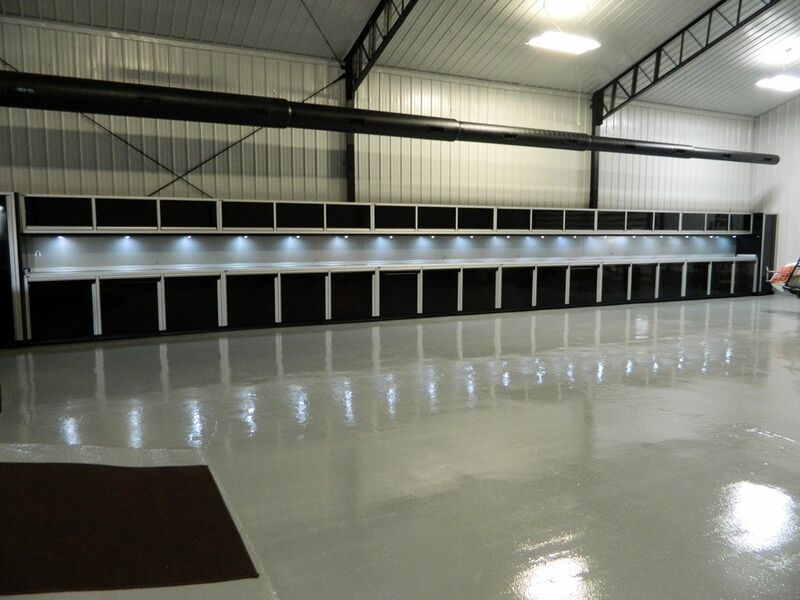 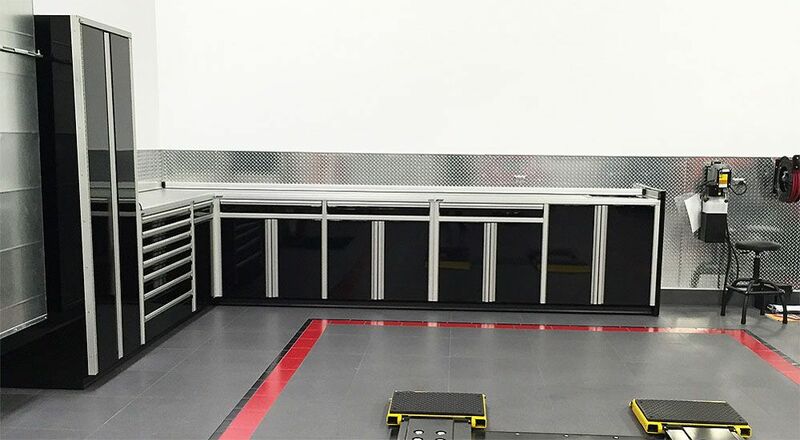 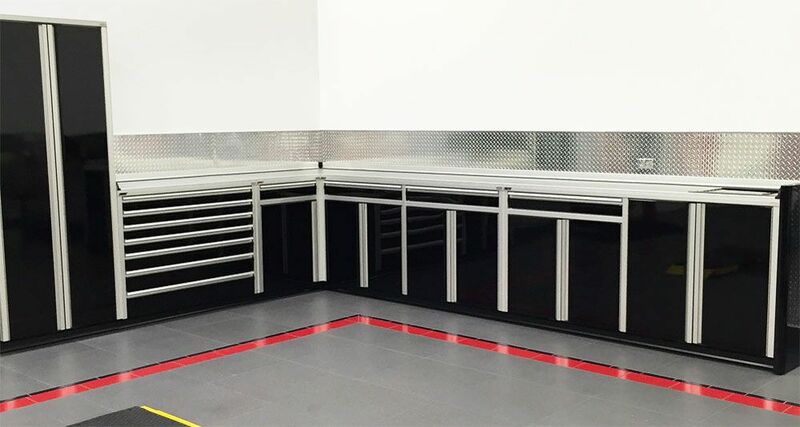 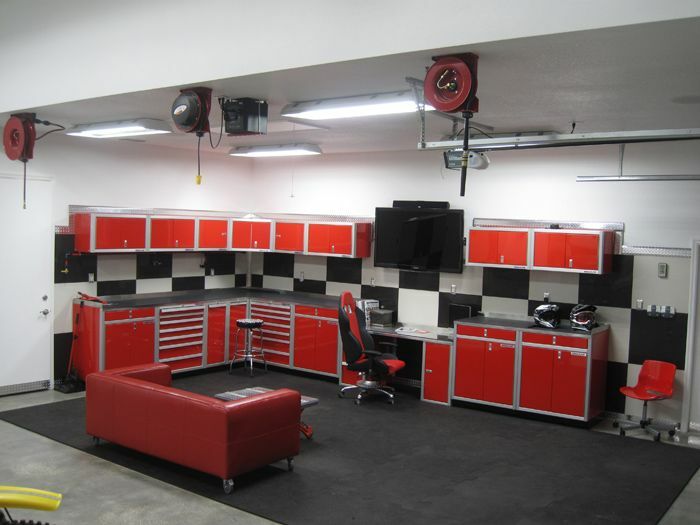 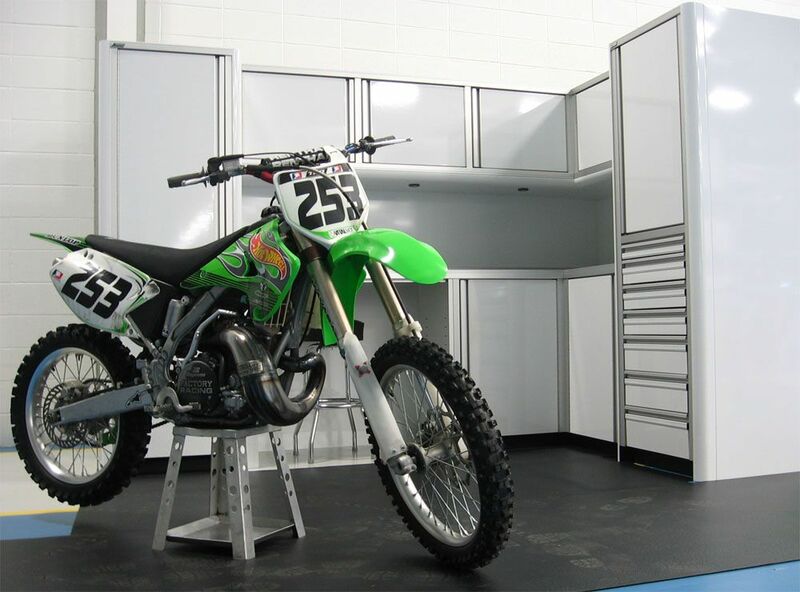 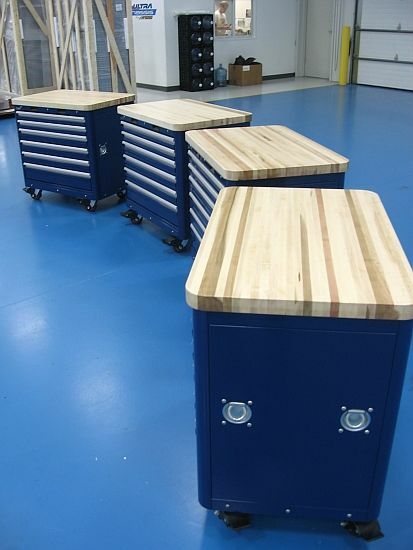 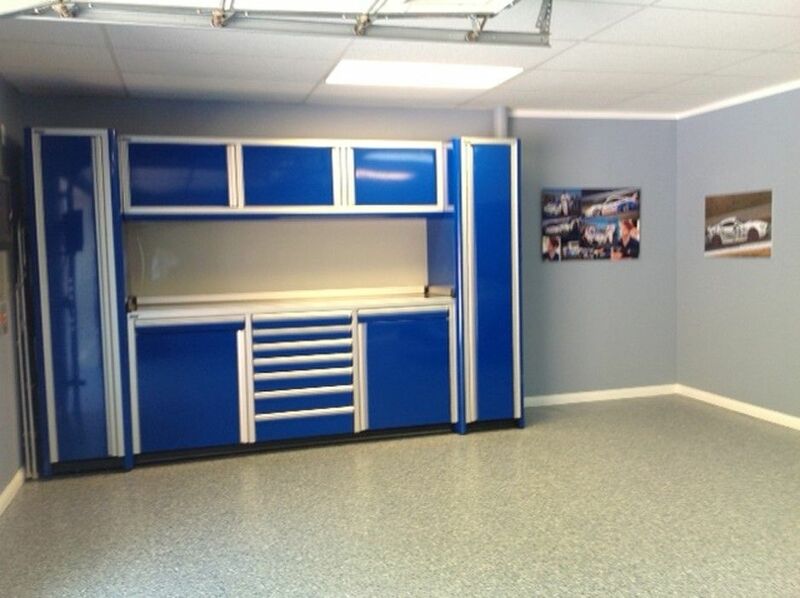 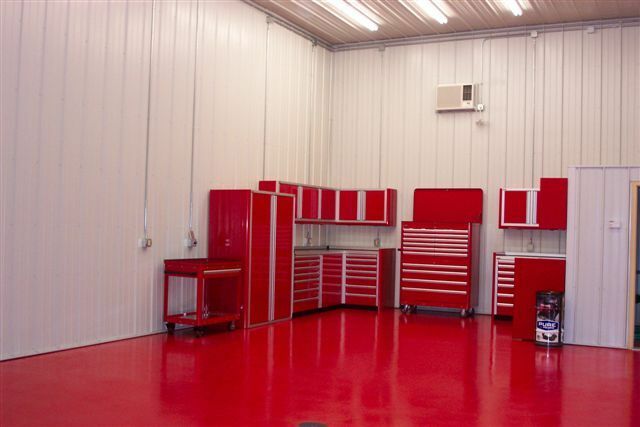 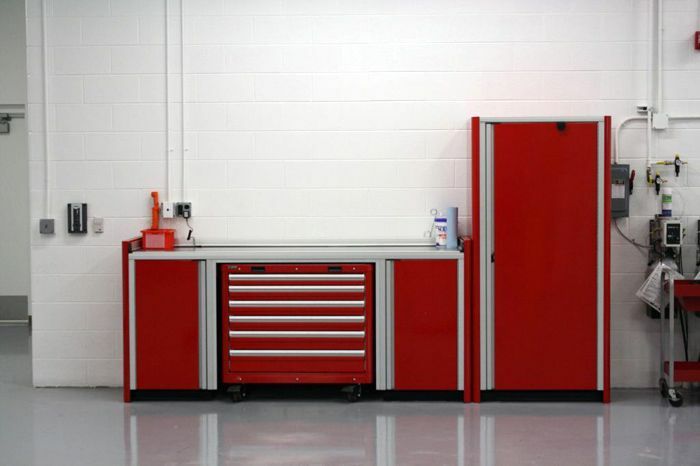 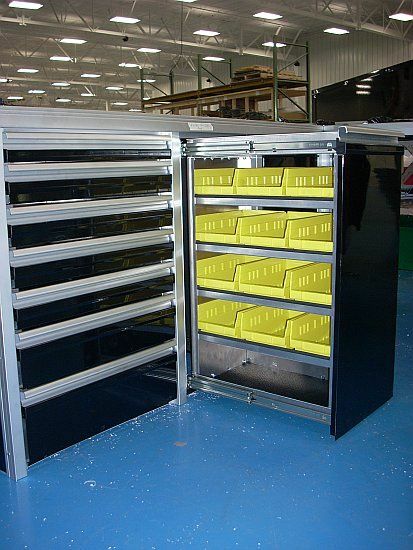 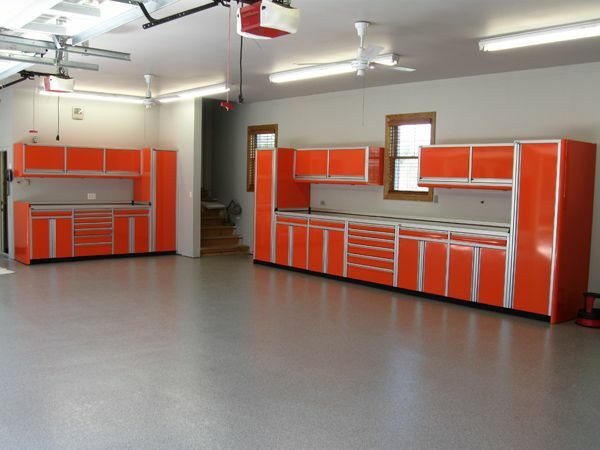 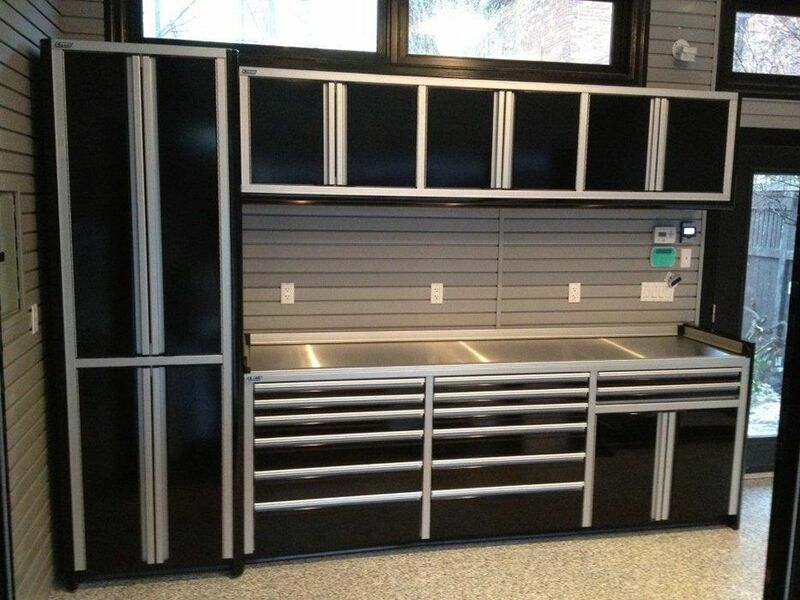 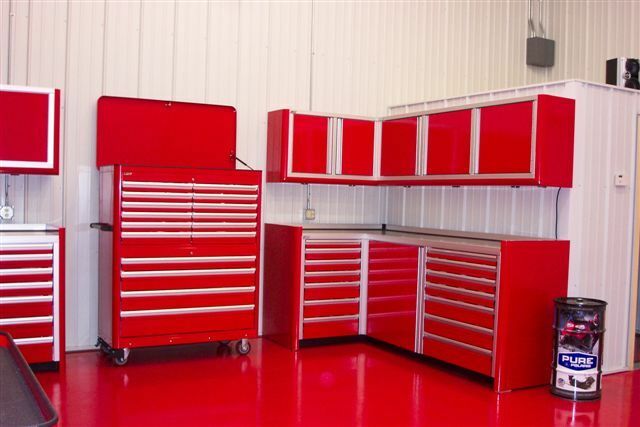 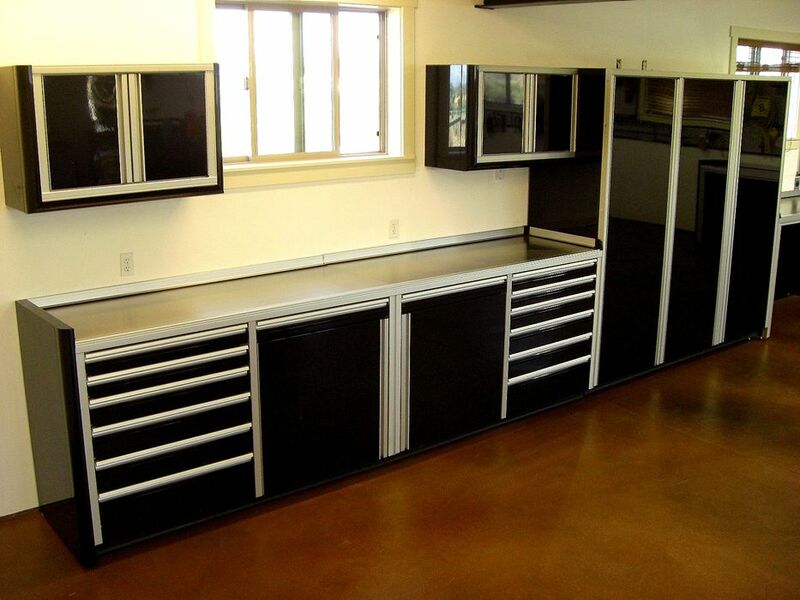 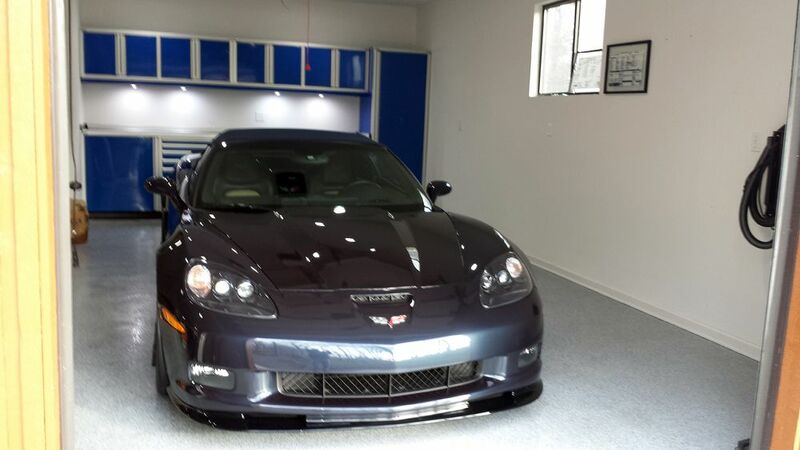 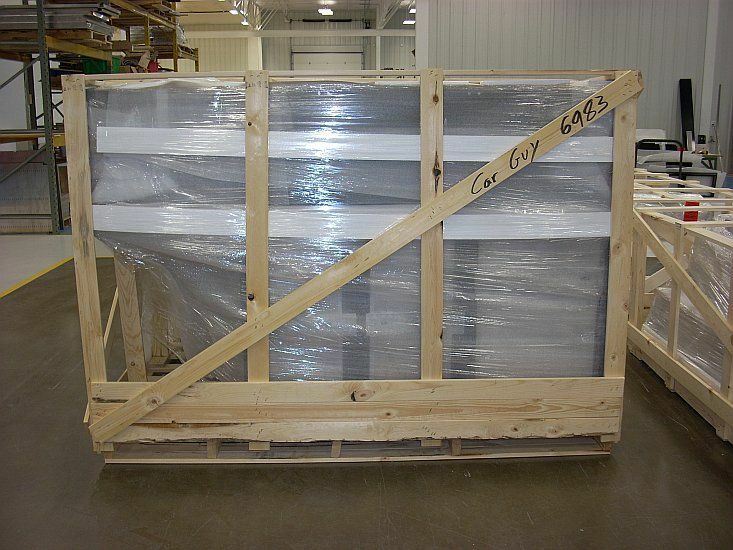 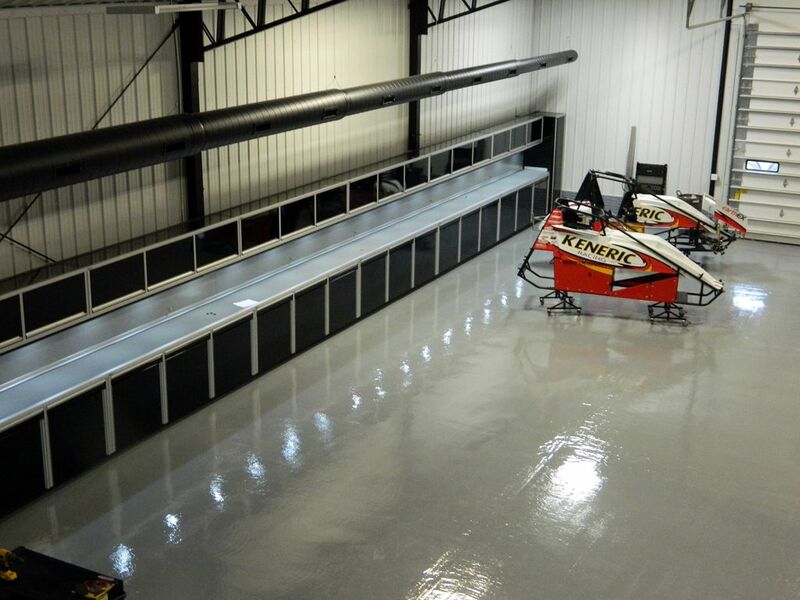 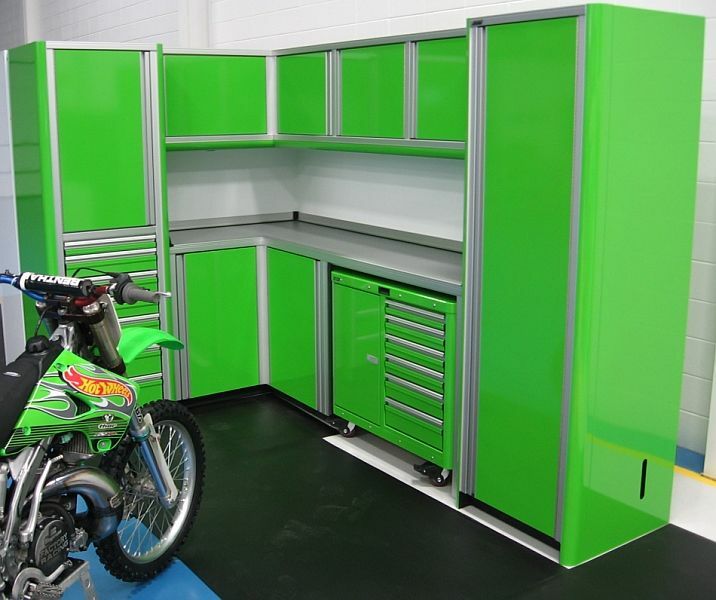 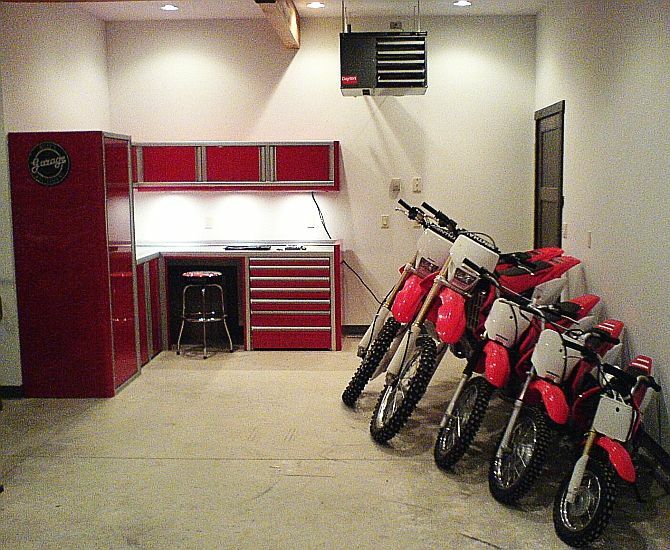 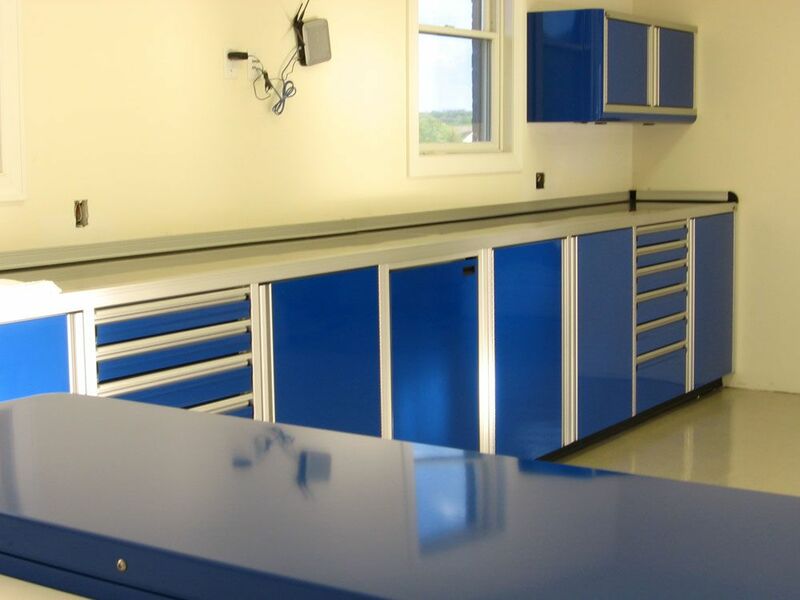 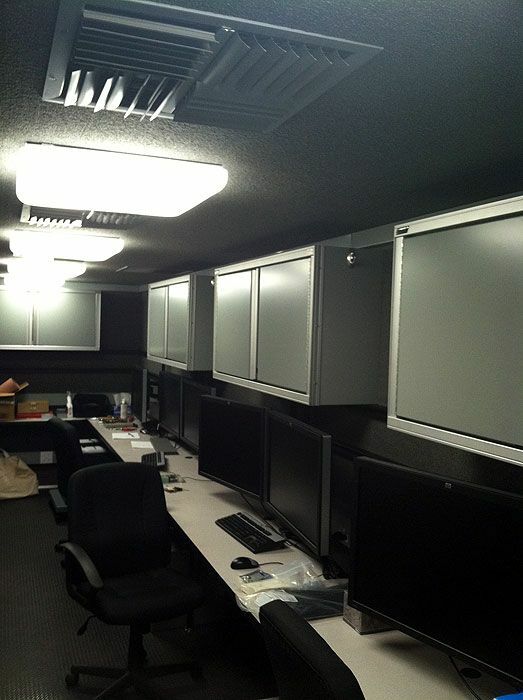 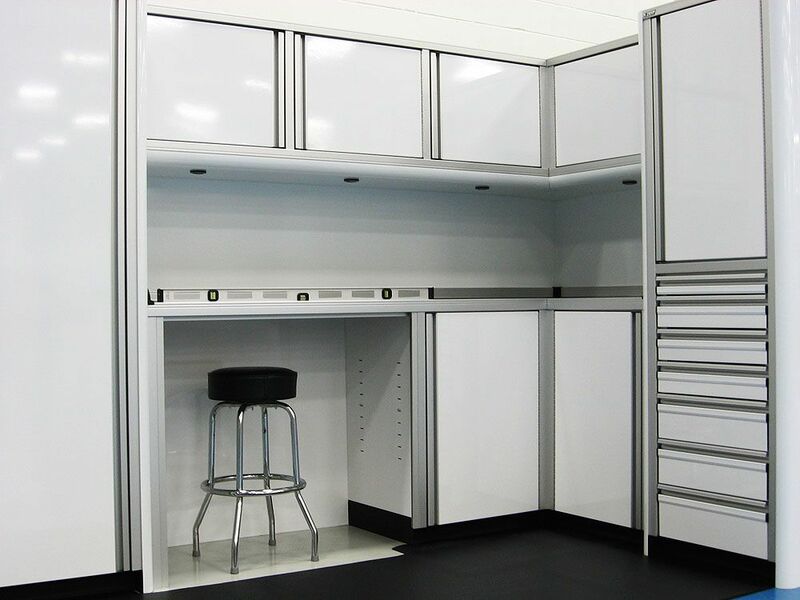 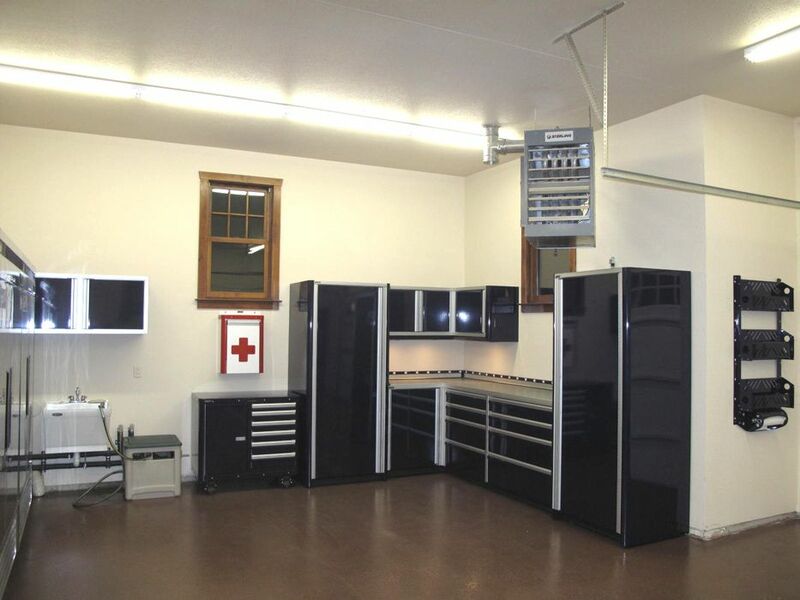 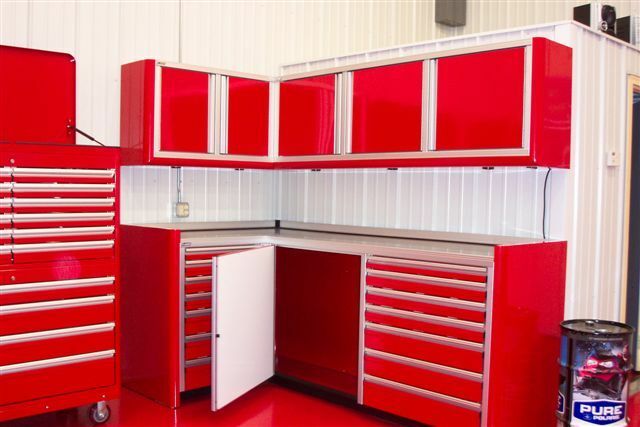 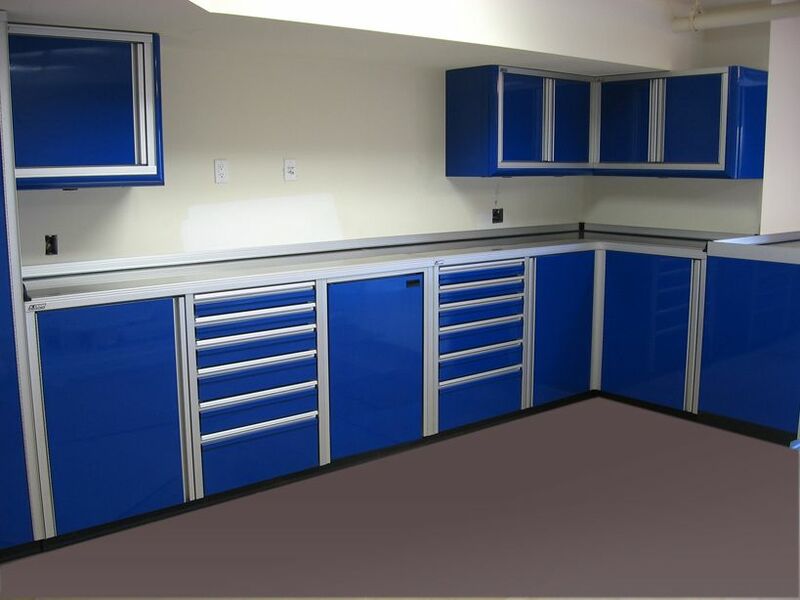 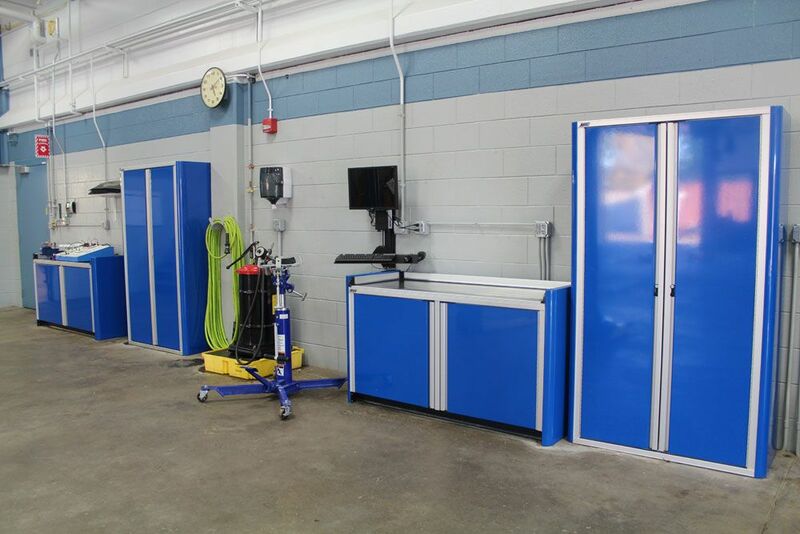 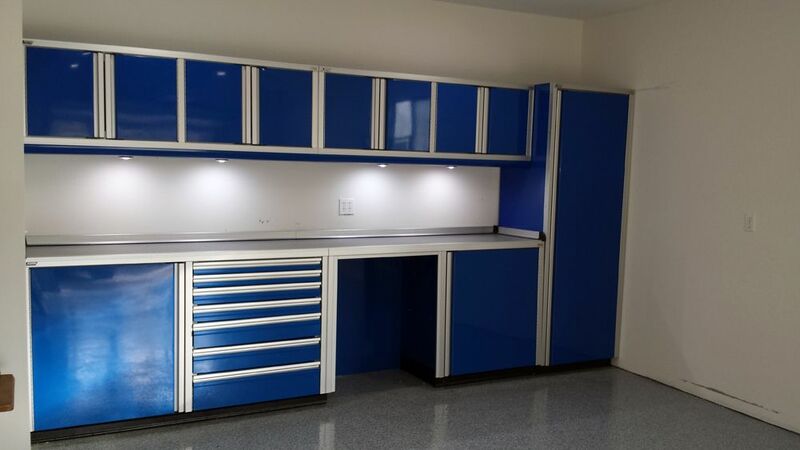 We can custom make these cabinets to fit your shop with the options you'd like, just give us a call at 800-736-9308. 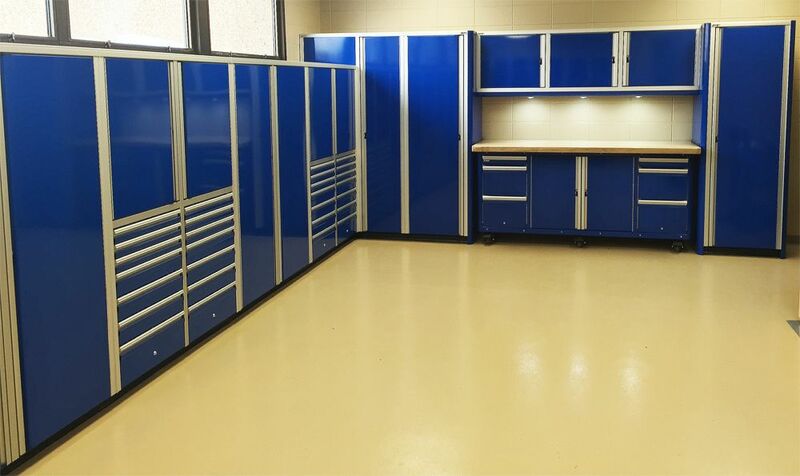 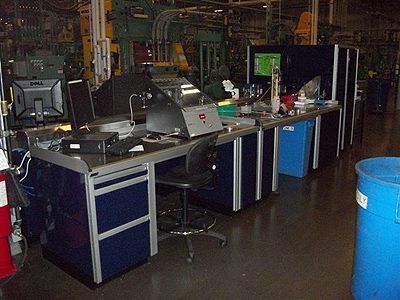 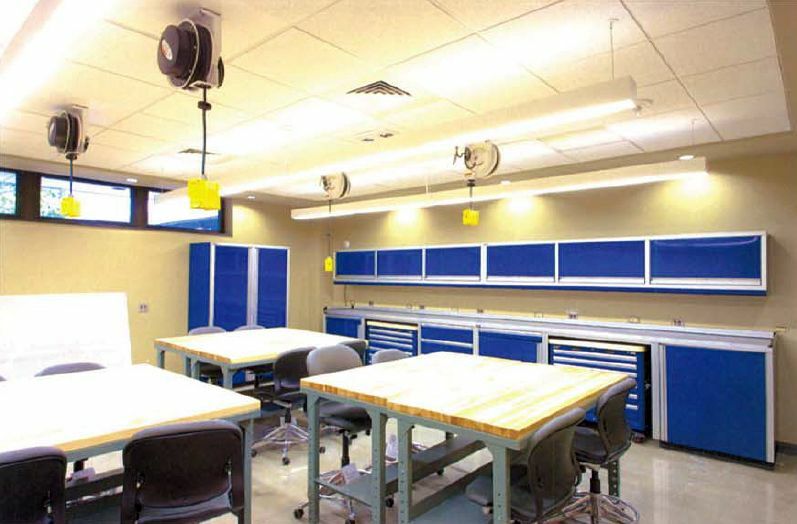 On the far left of this set is a locker with an upper door that has an adjustable shelf behind it, and seven drawers below it. 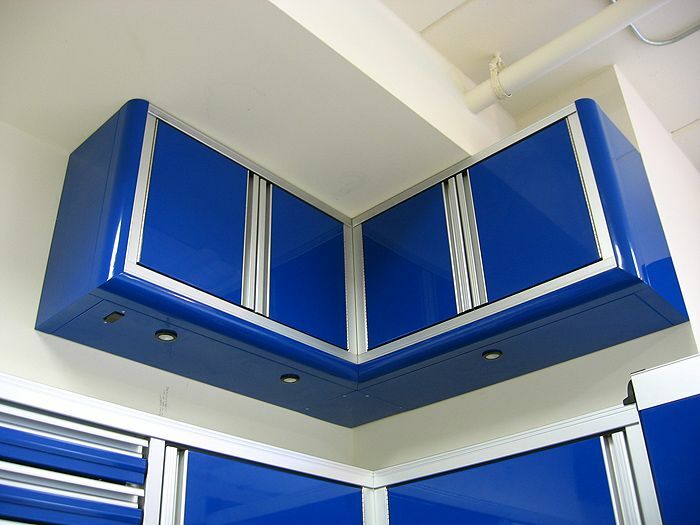 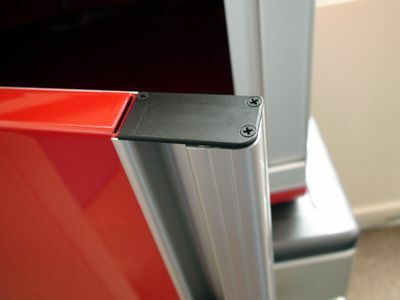 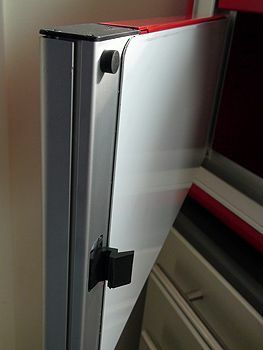 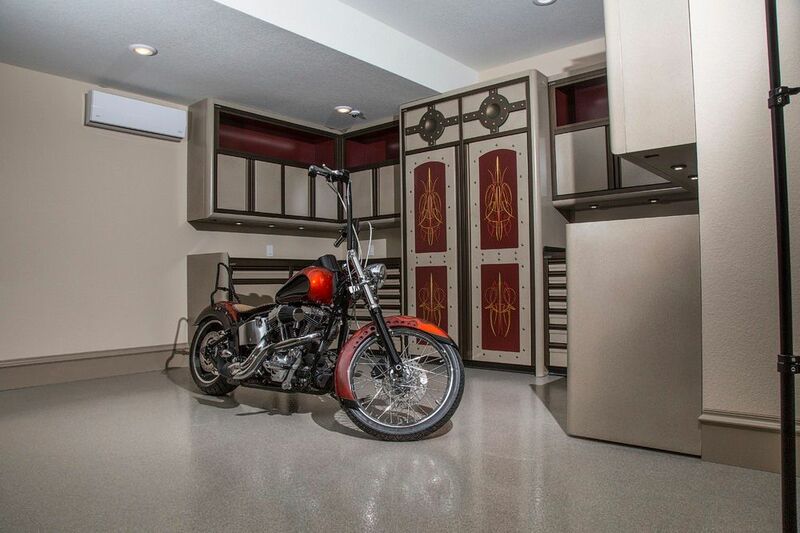 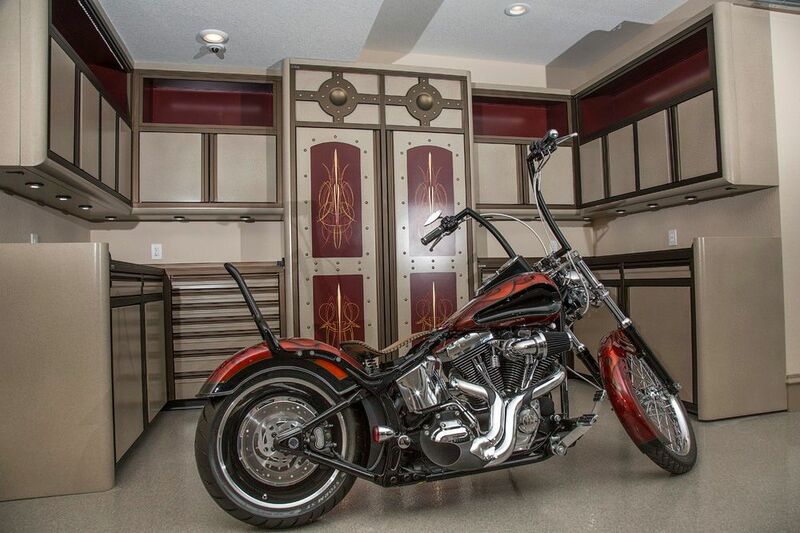 The locker has radius panels on the left and right sides for an extra touch of style. 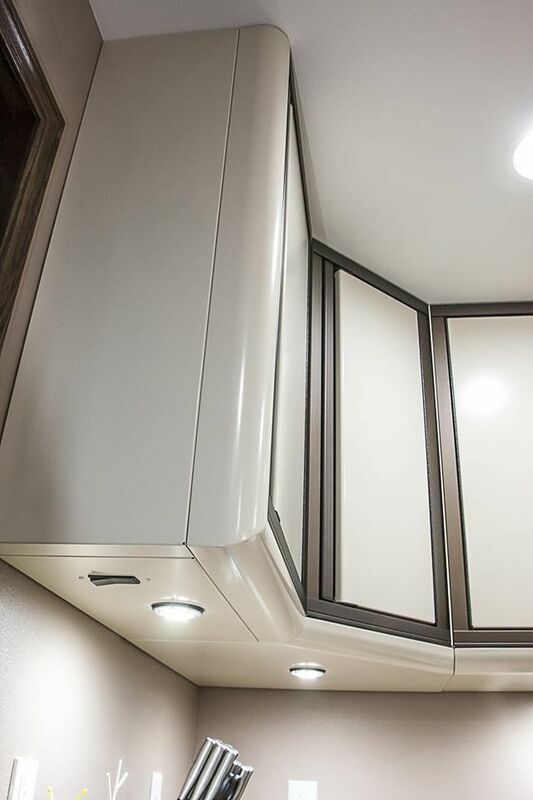 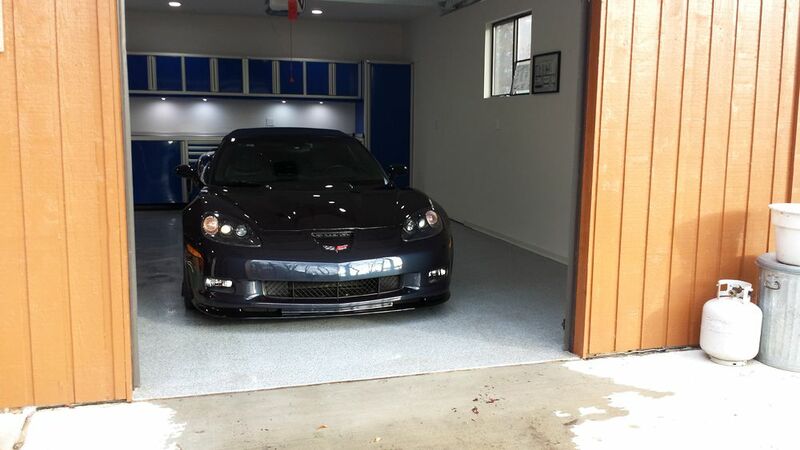 The upper cabinets have left and right swinging doors, but options for upward swinging doors with gas shocks are also available. 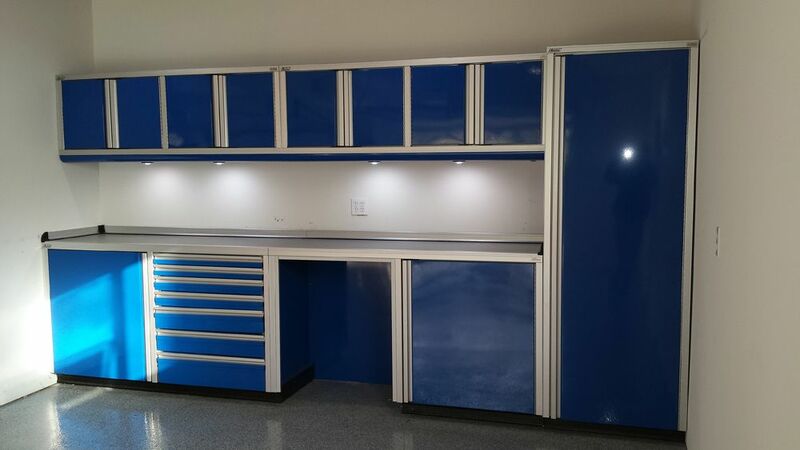 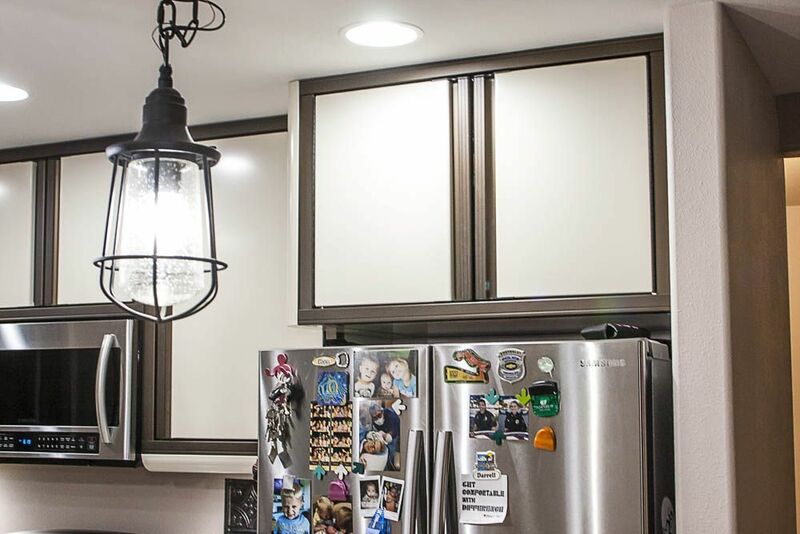 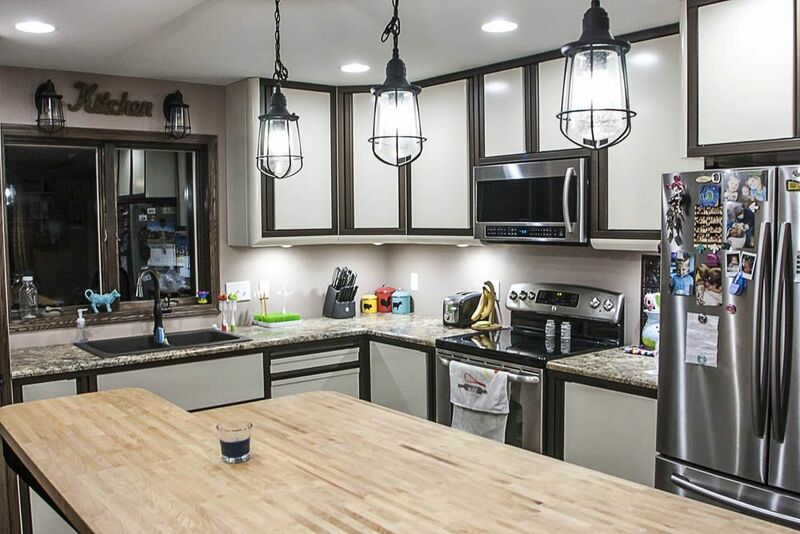 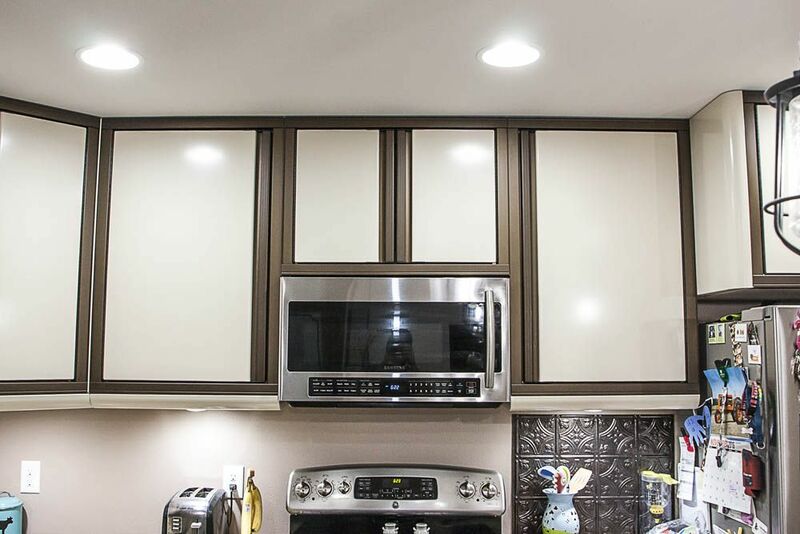 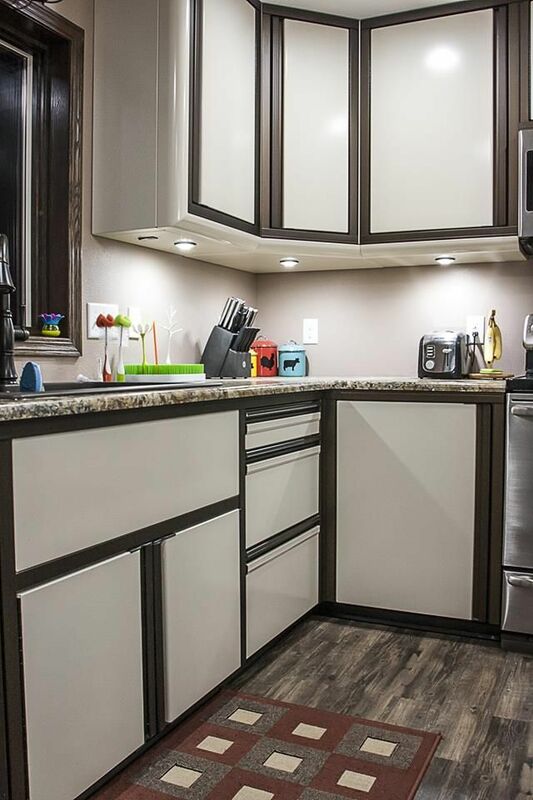 There is also a lower radius edge on the upper cabinets, we could add in LED puck lighs to the lower radius of the upper cabinets. 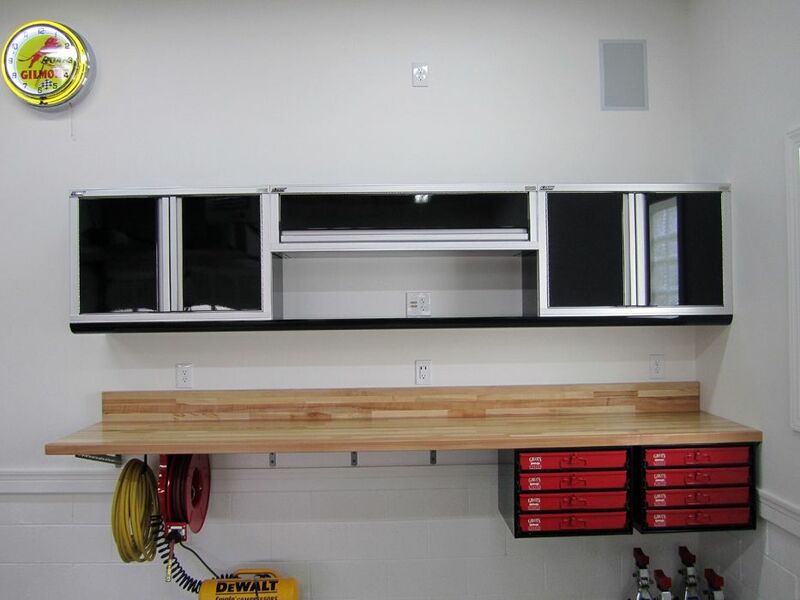 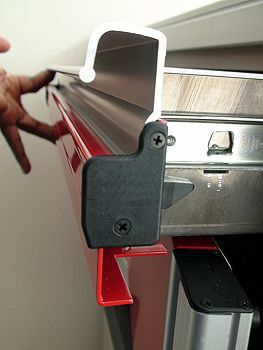 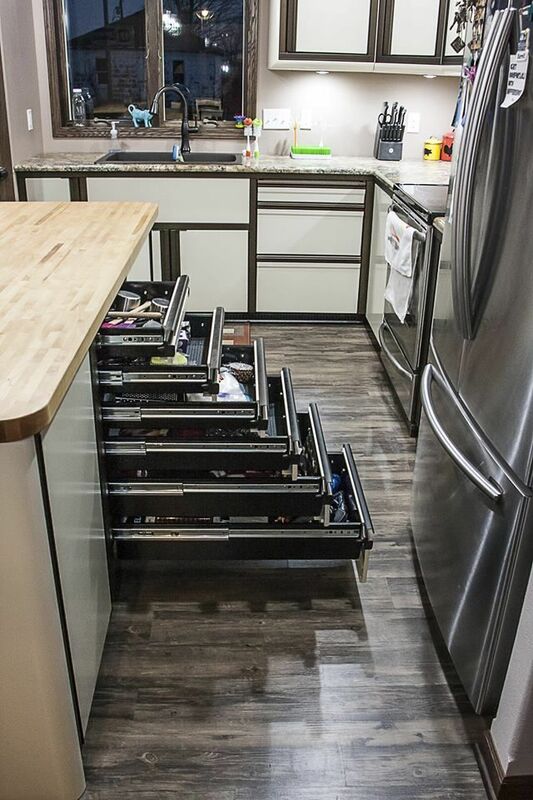 The base cabinets have one adjustable shelf each. 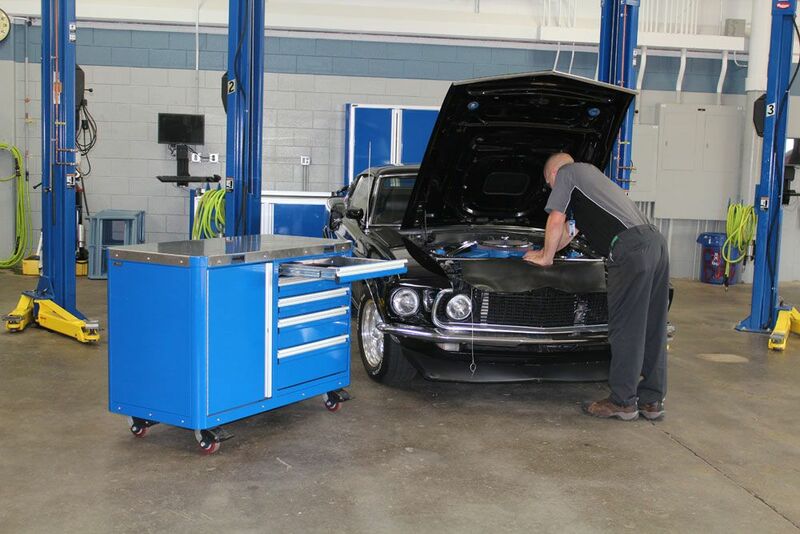 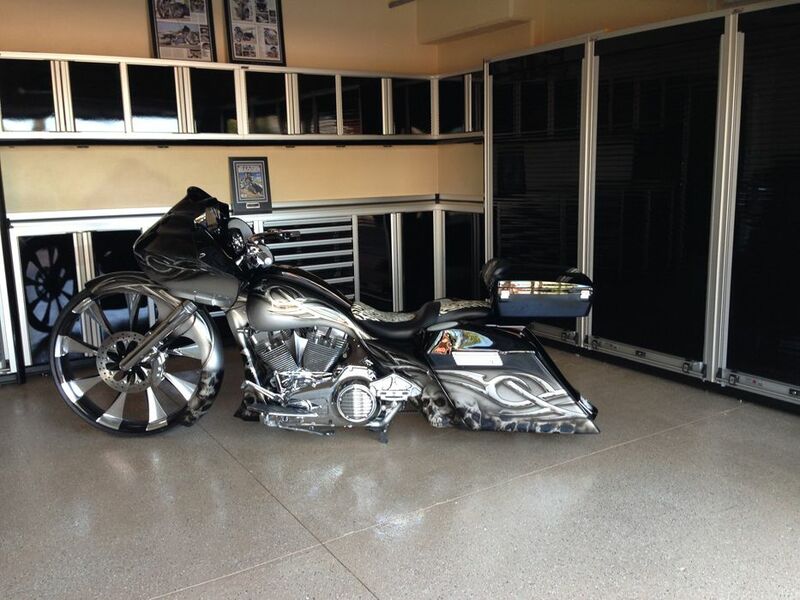 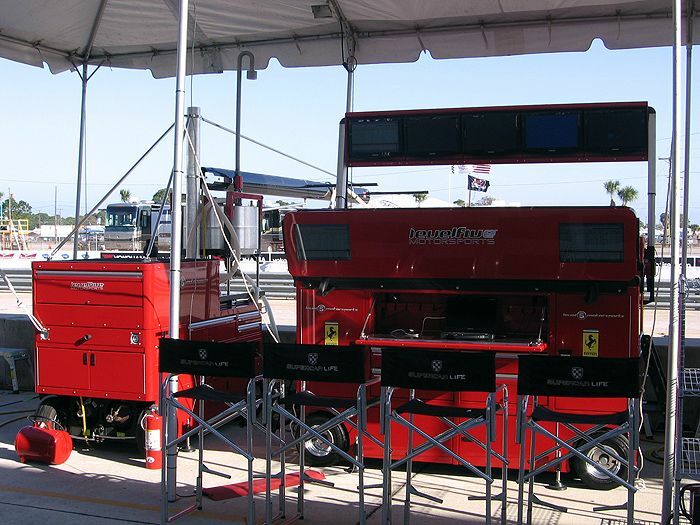 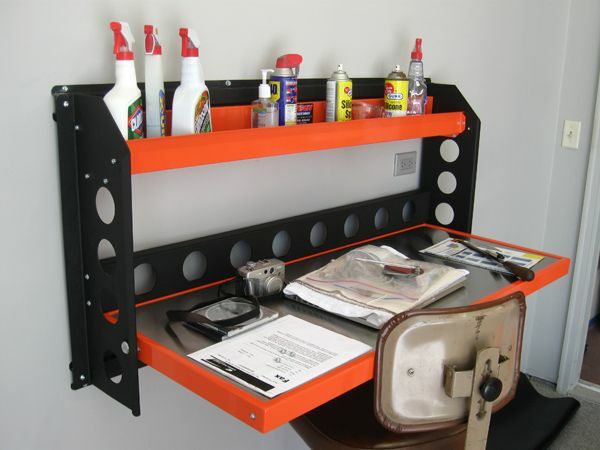 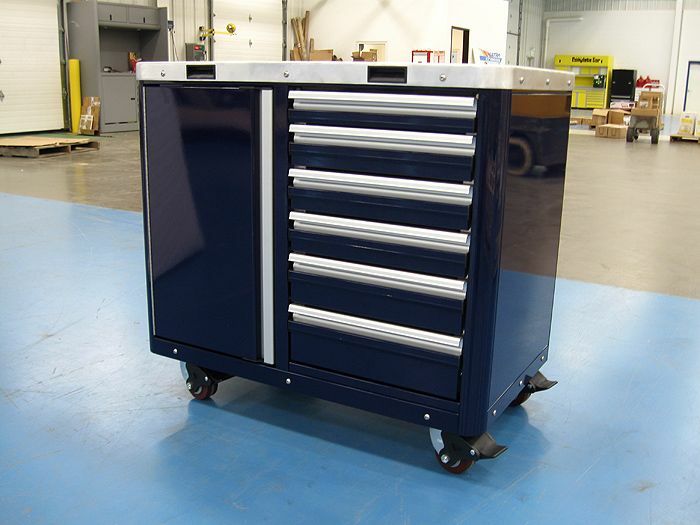 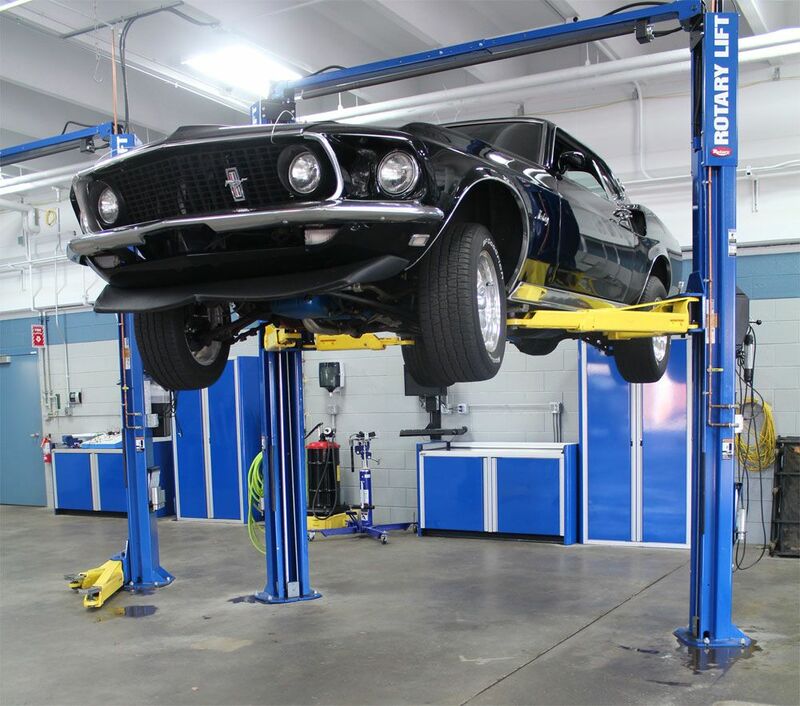 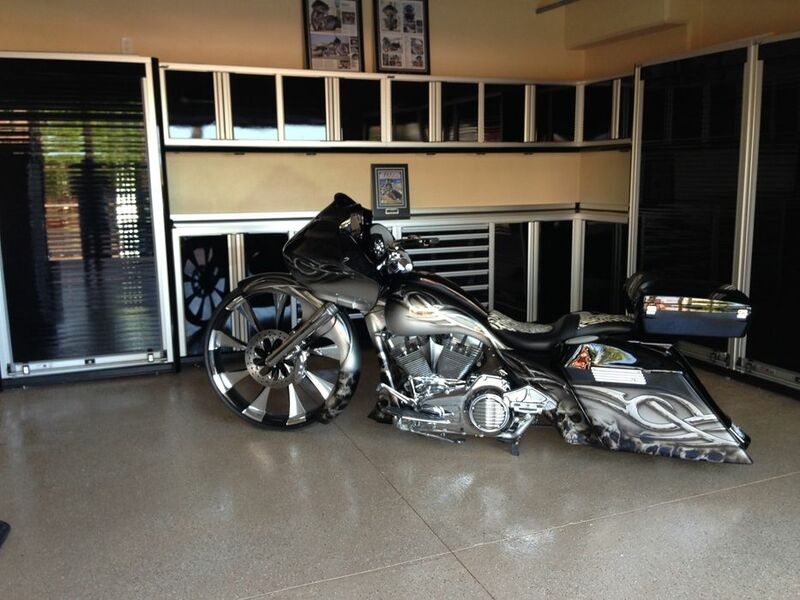 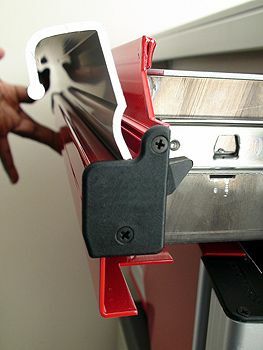 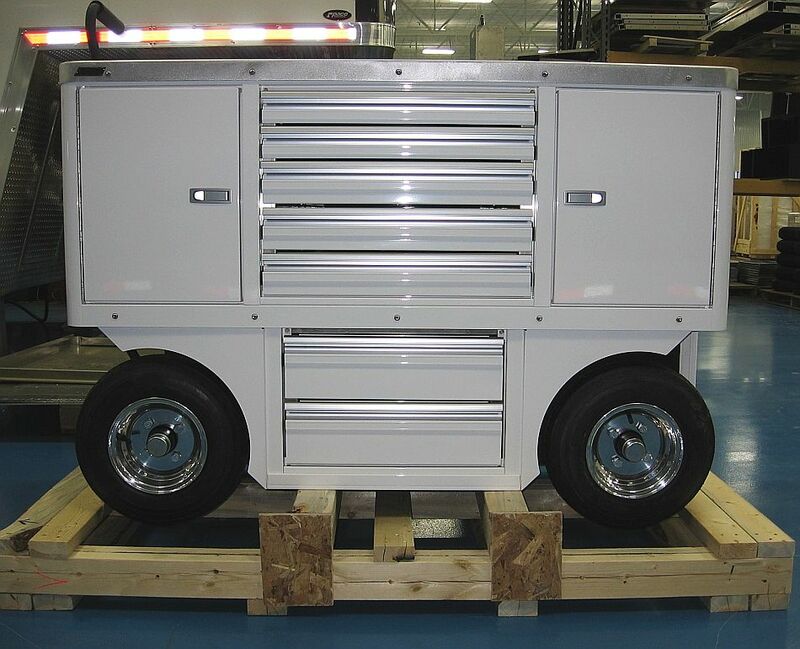 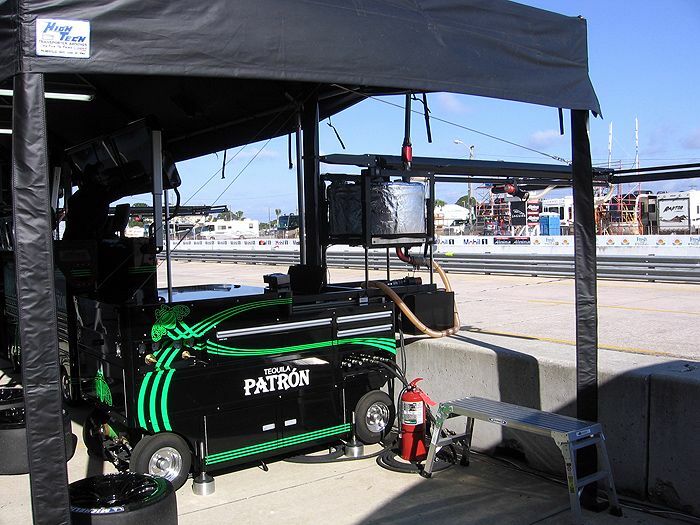 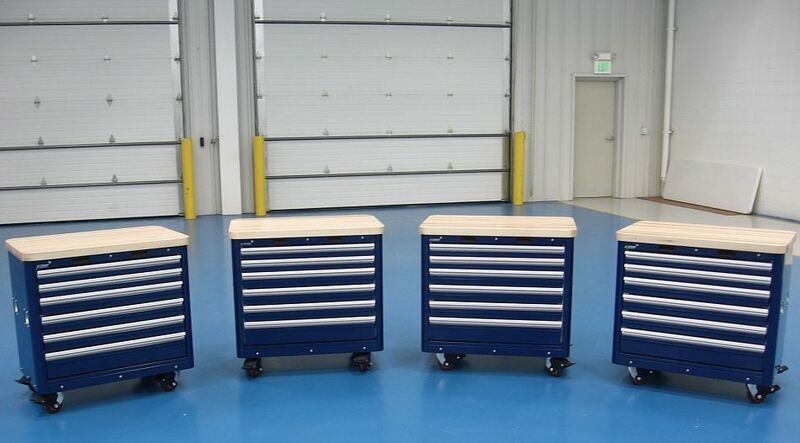 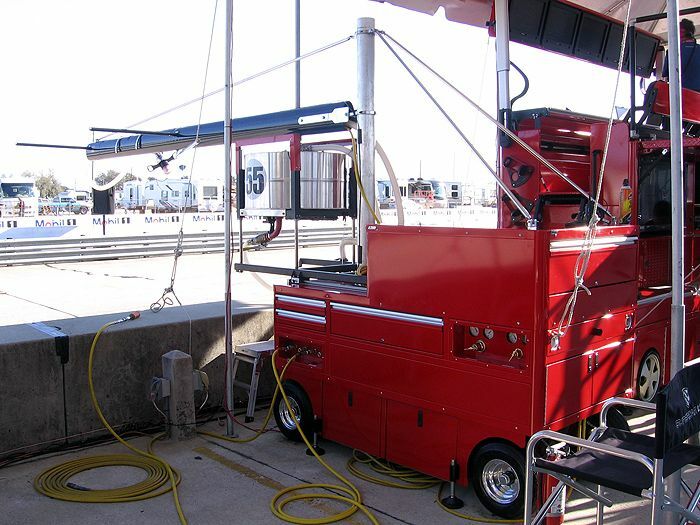 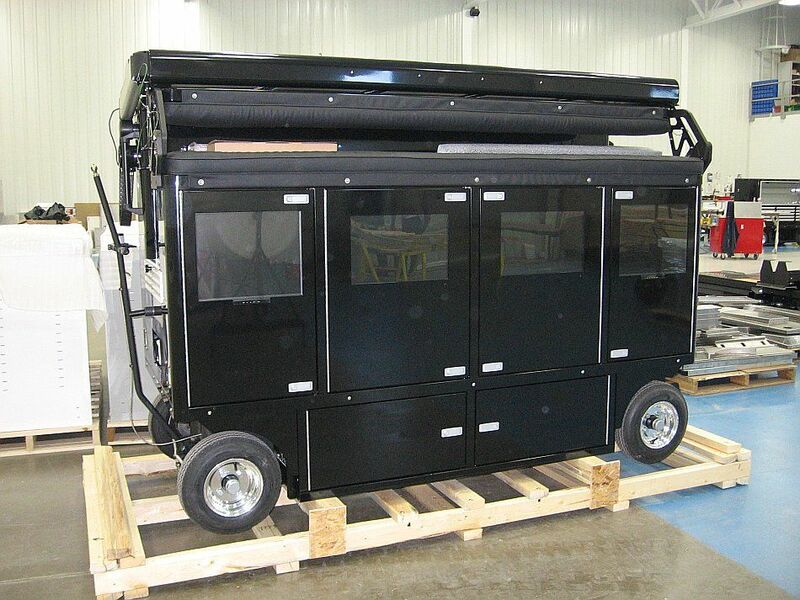 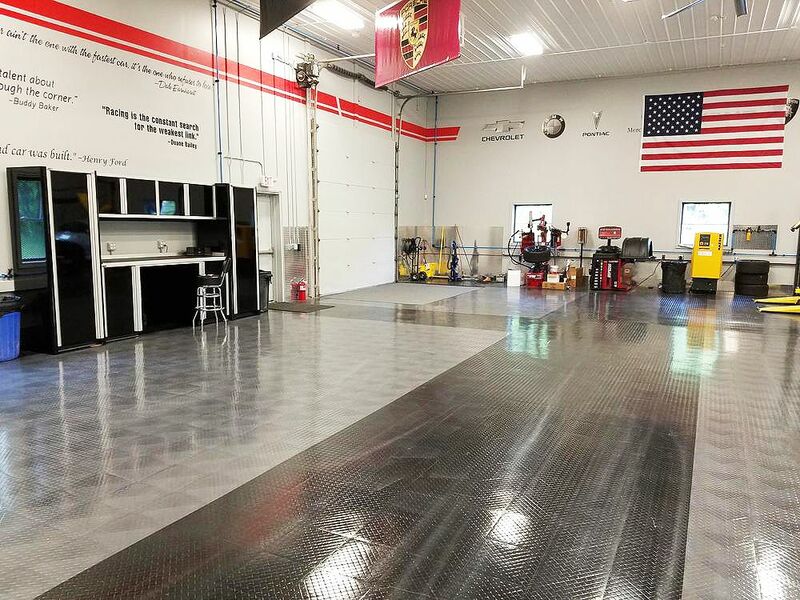 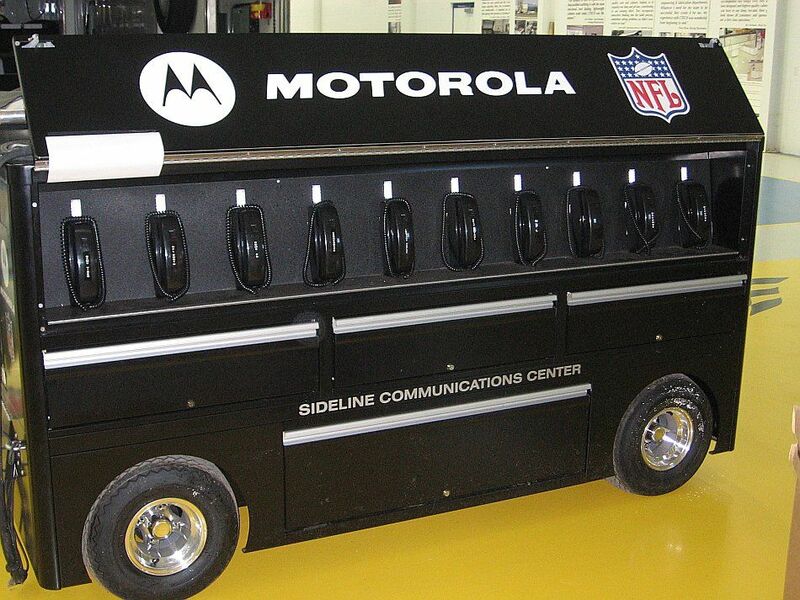 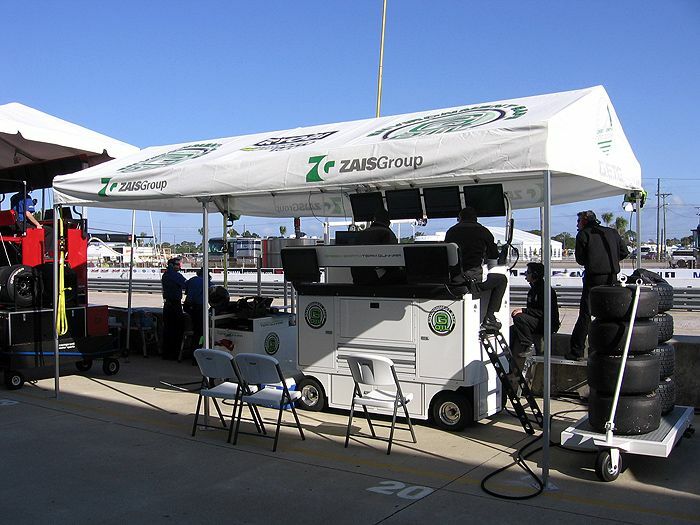 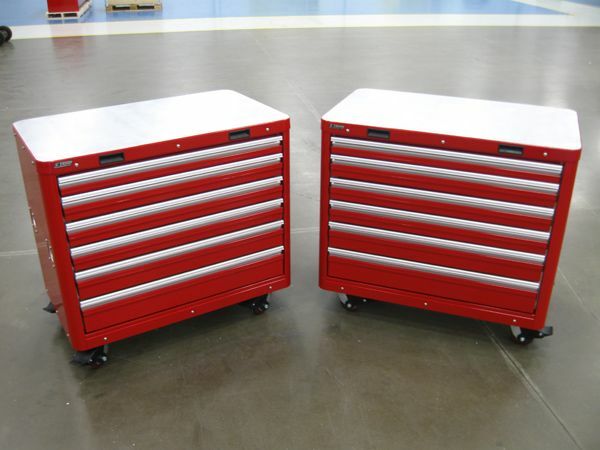 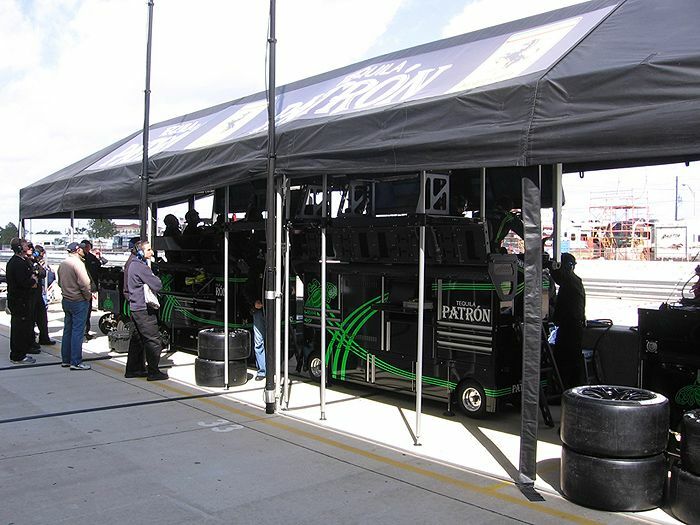 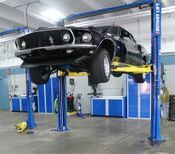 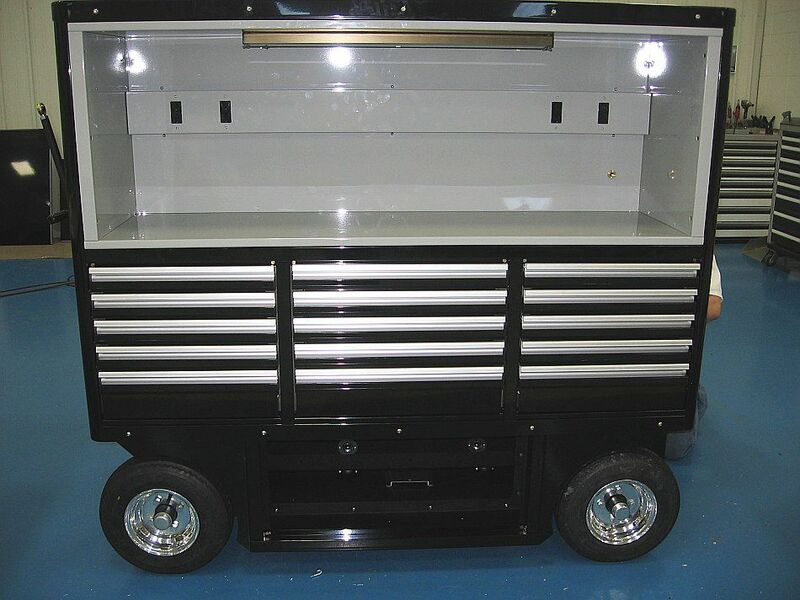 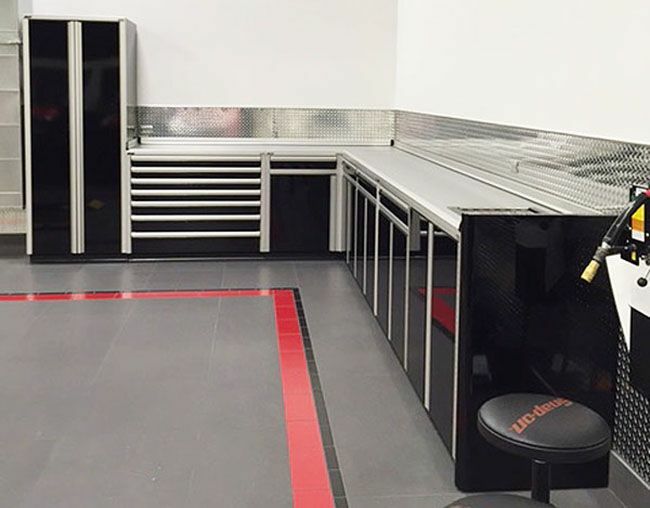 There is a mobile tool cart with this package that allows you to easily move your tools to your project.